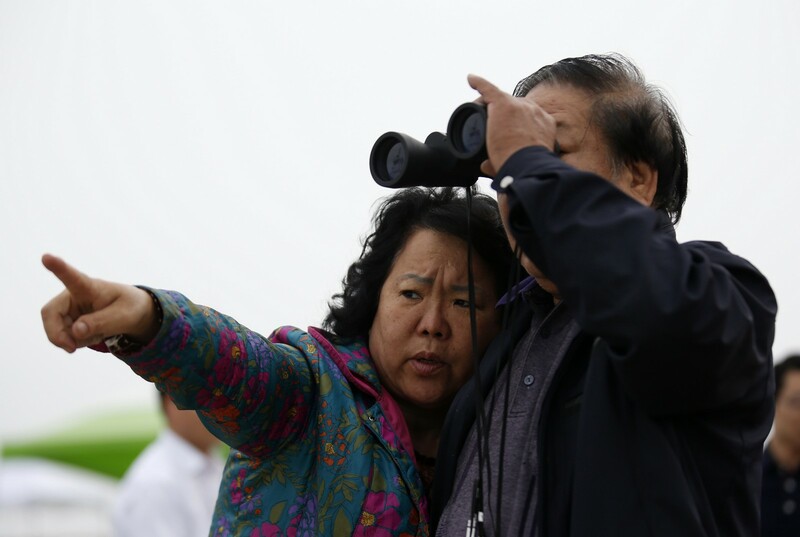 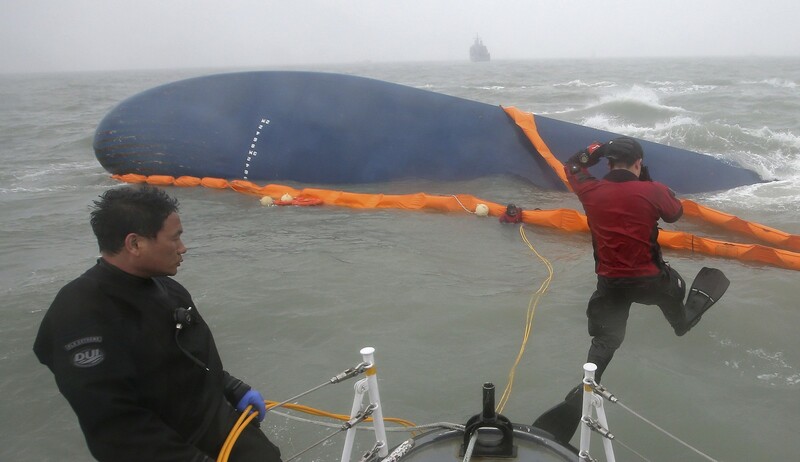 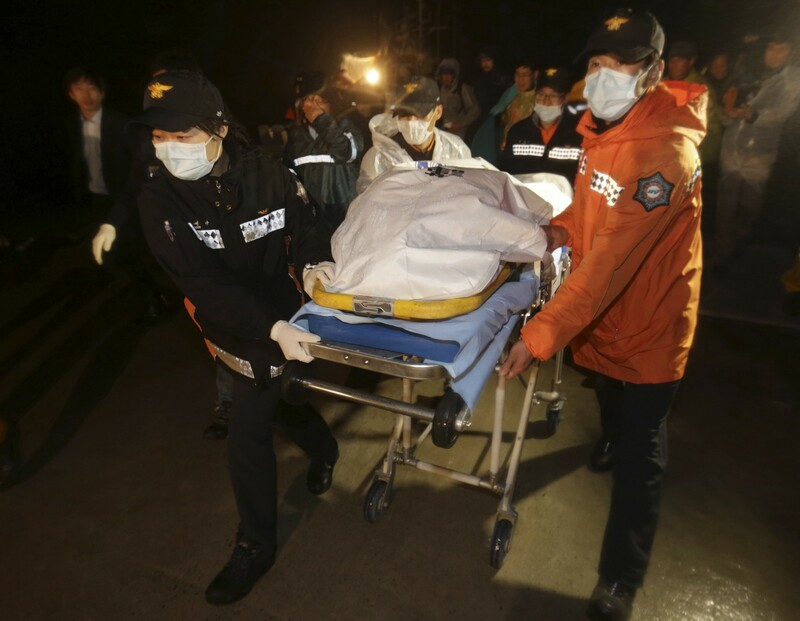 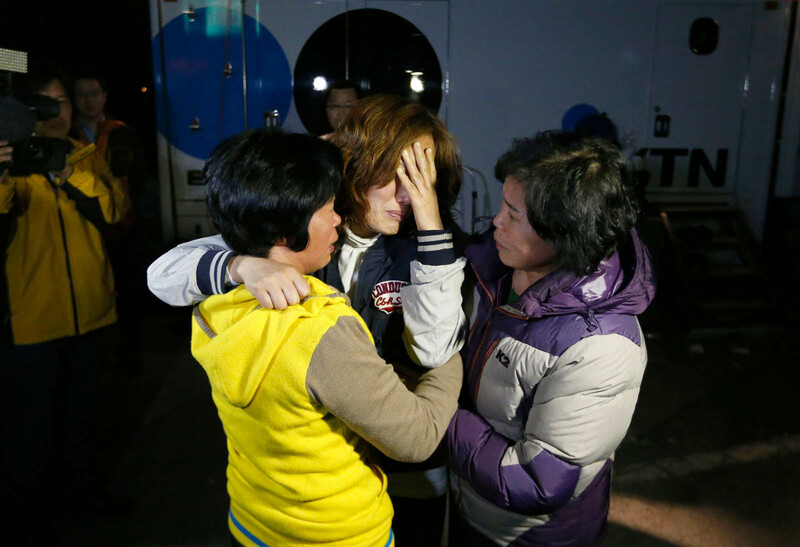 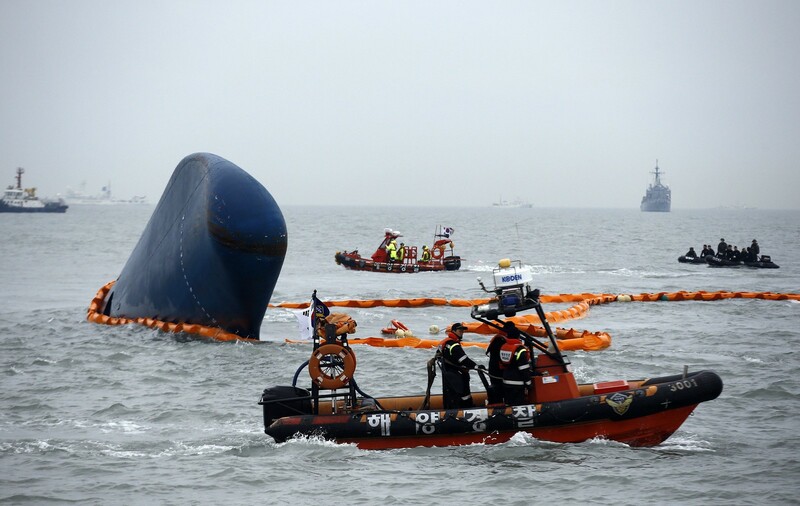 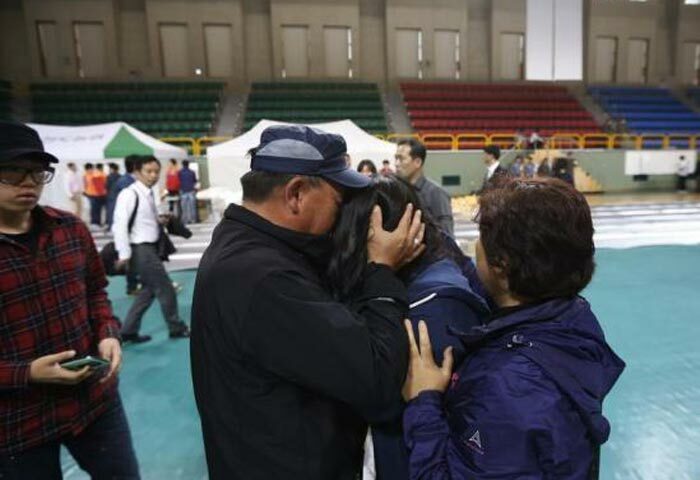 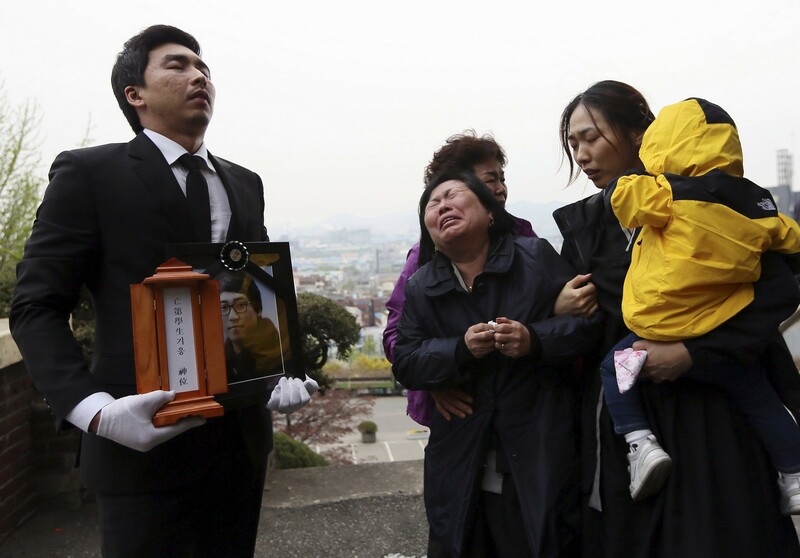 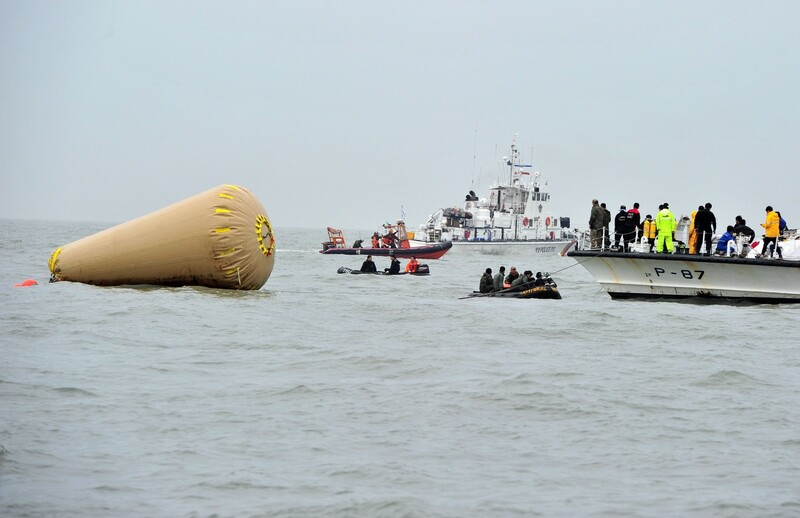 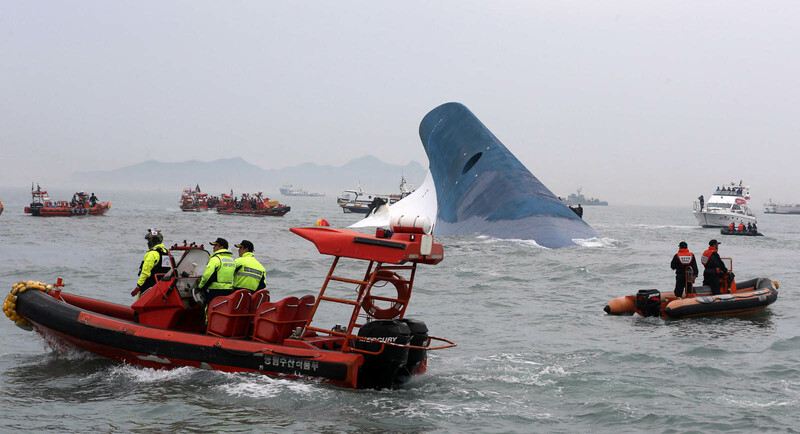 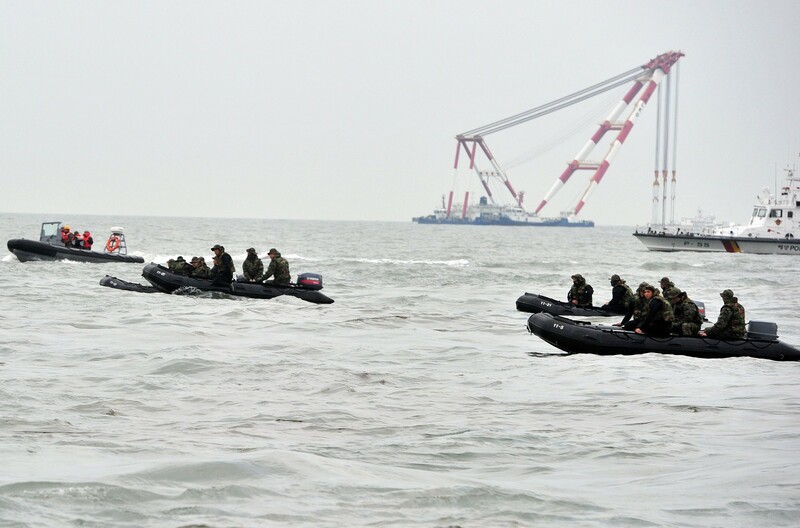 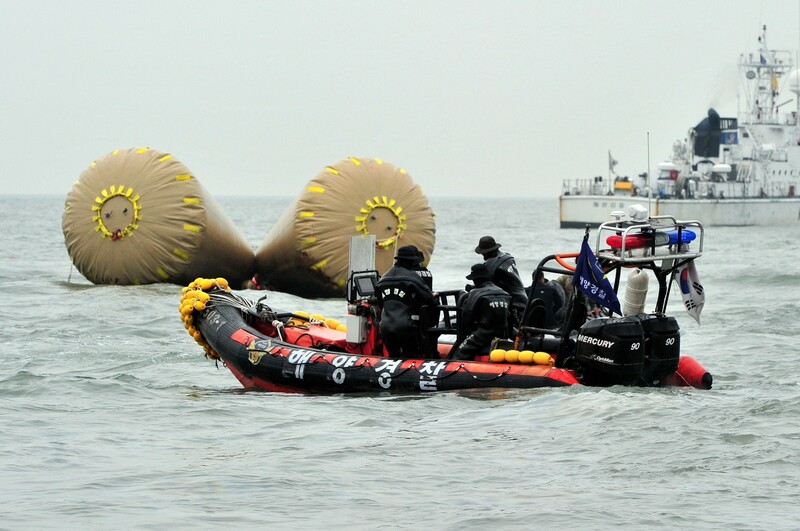 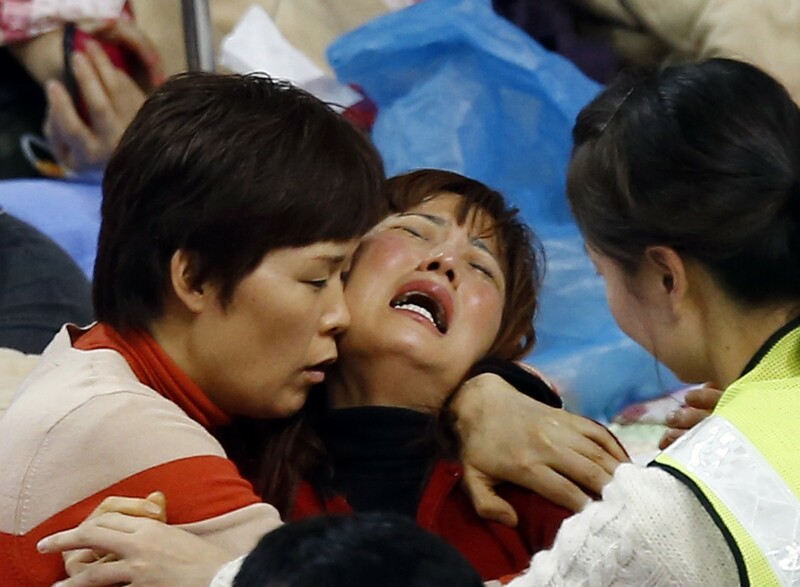 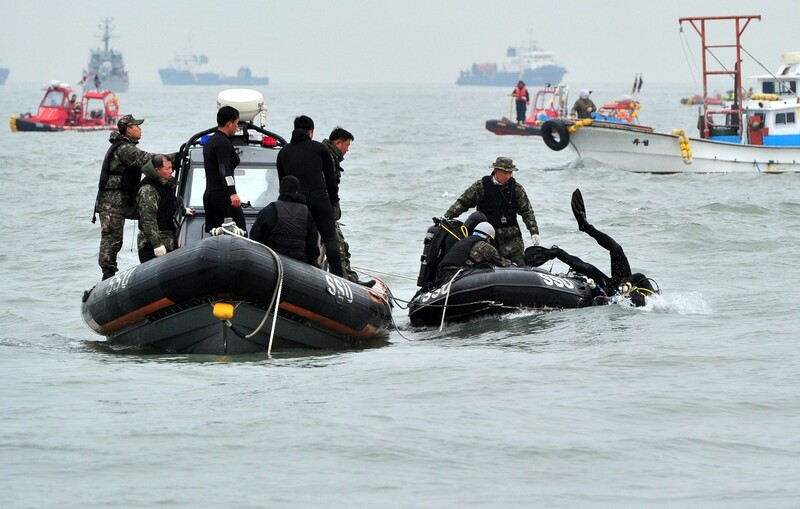 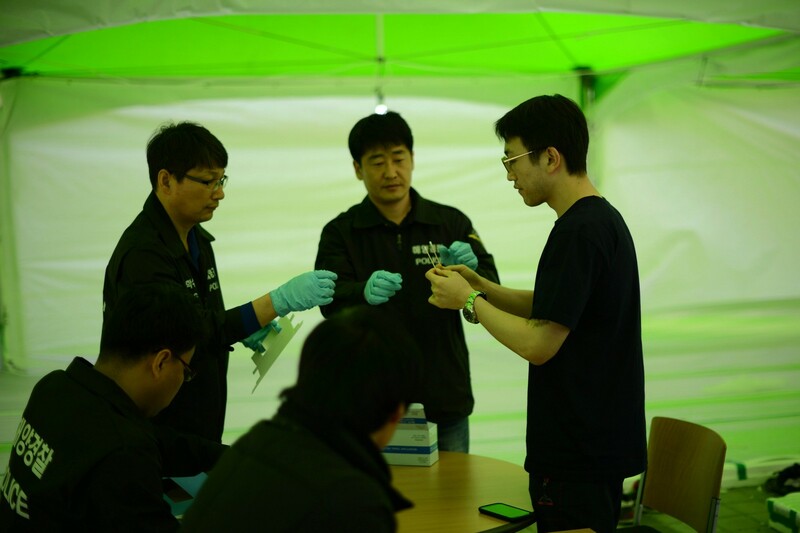 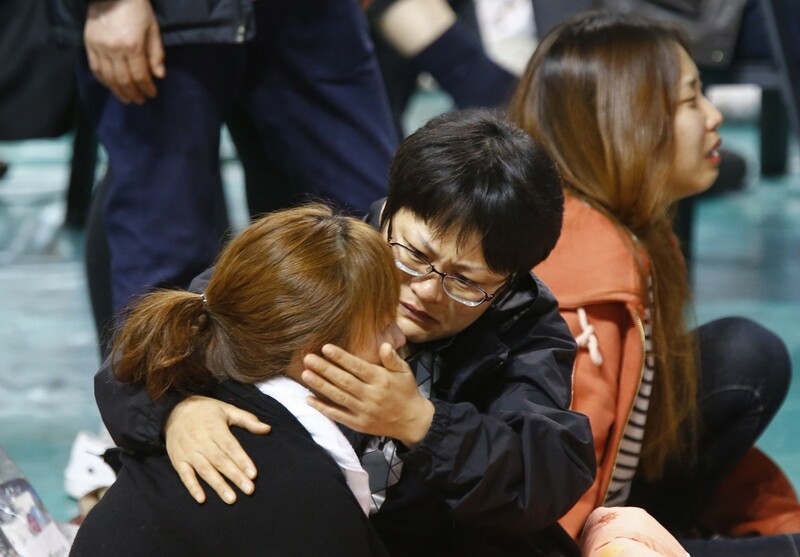 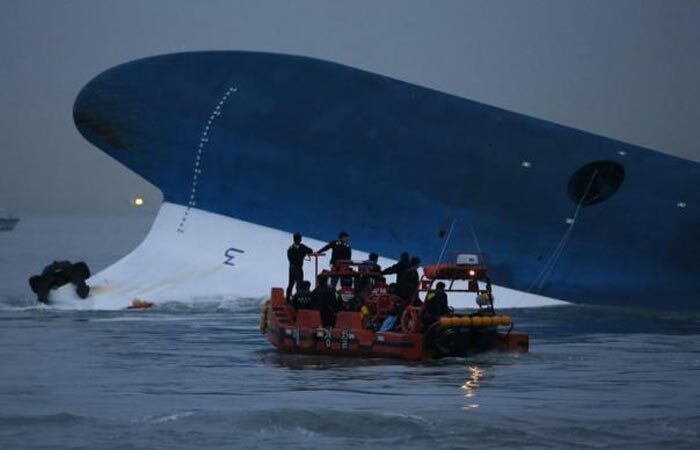 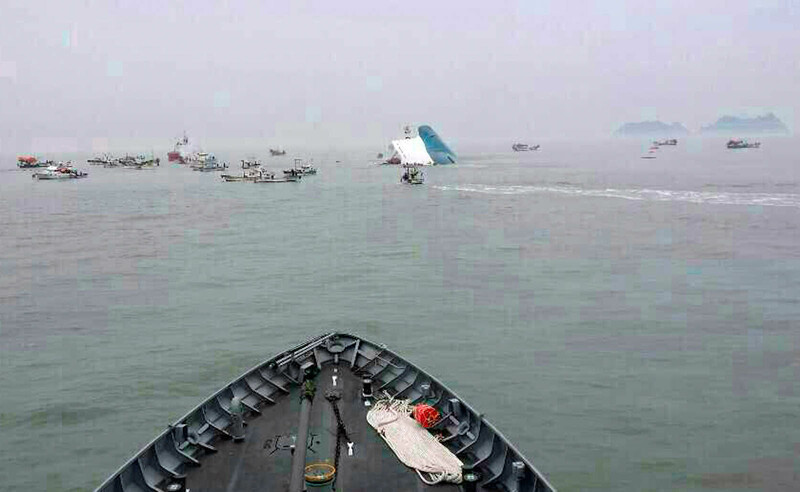 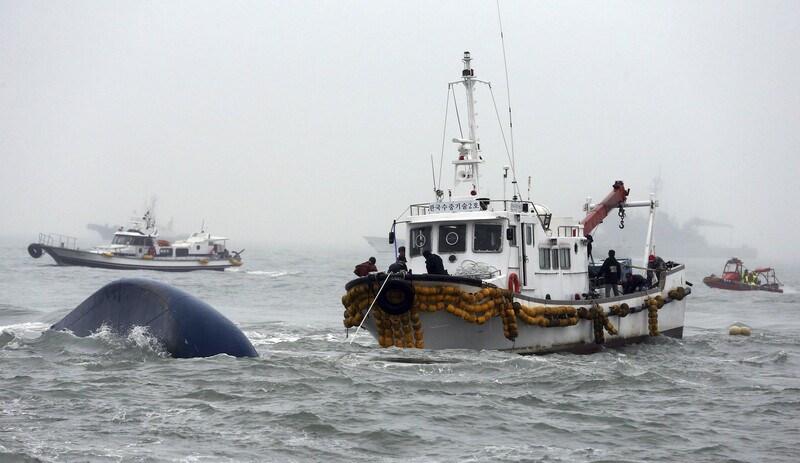 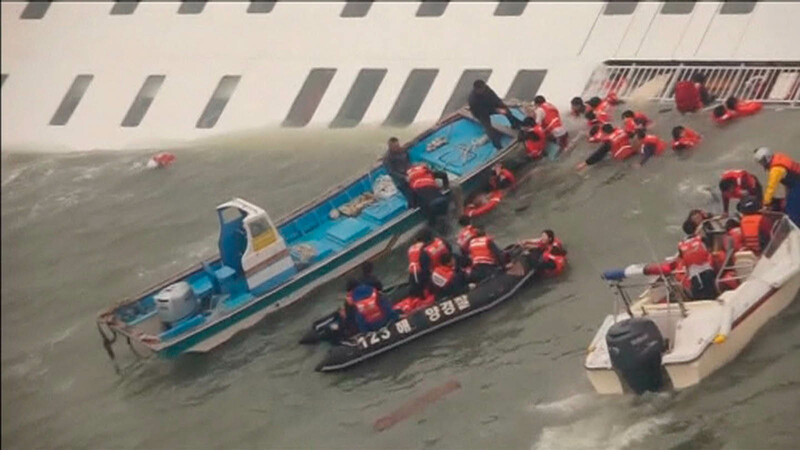 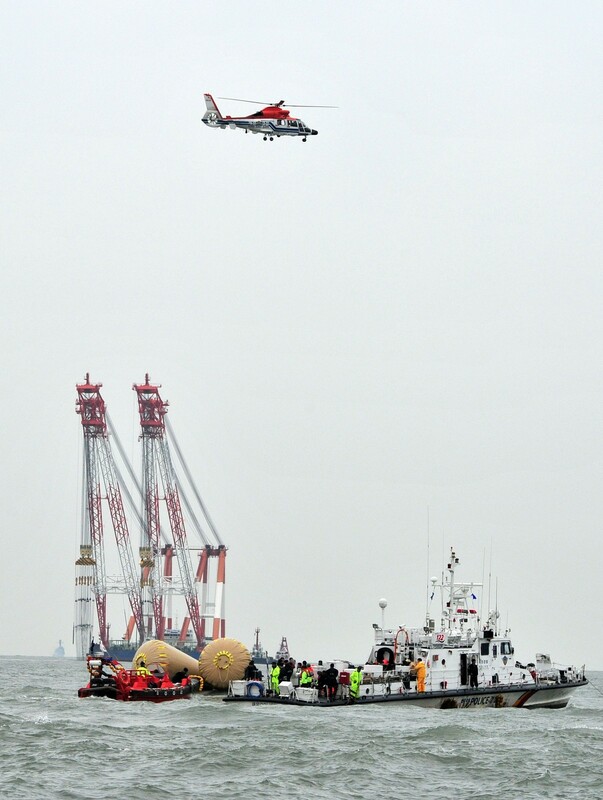 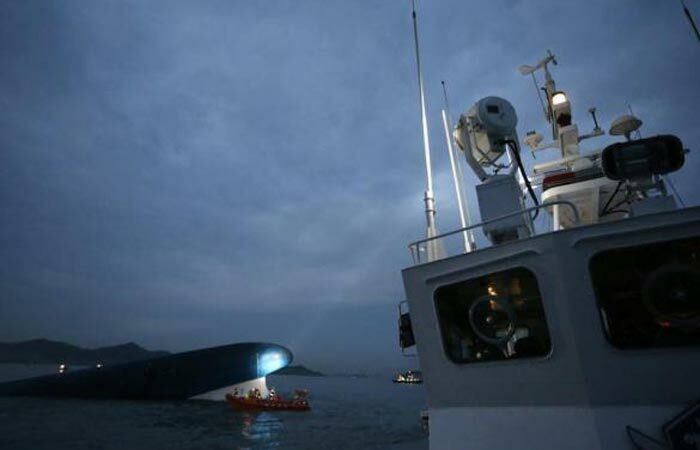 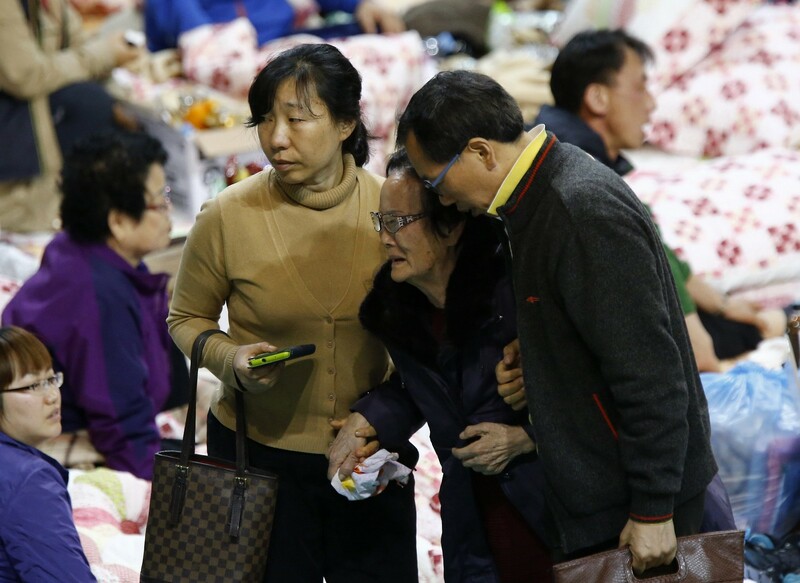 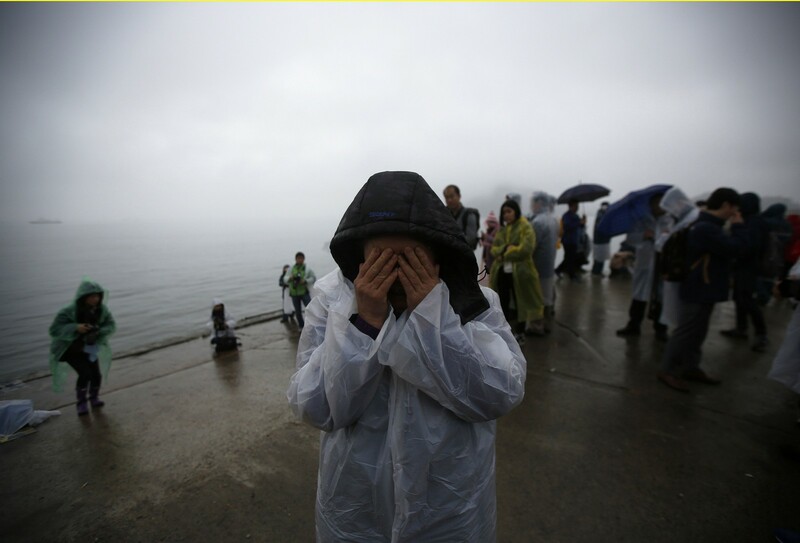 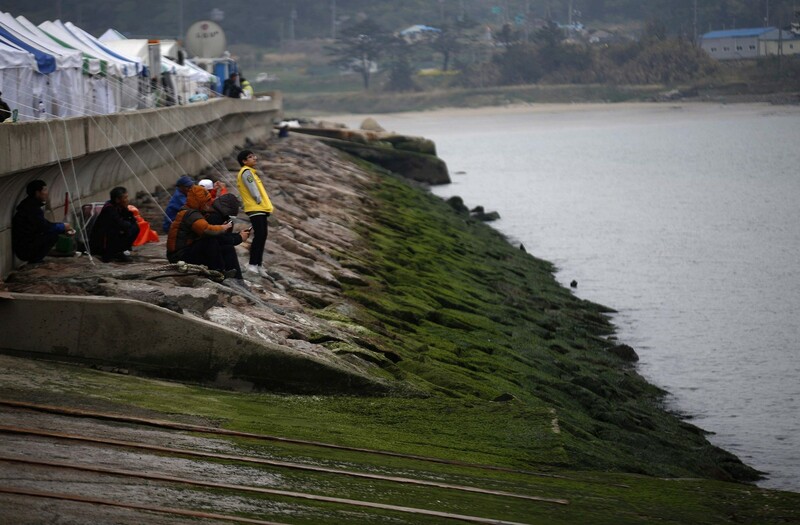 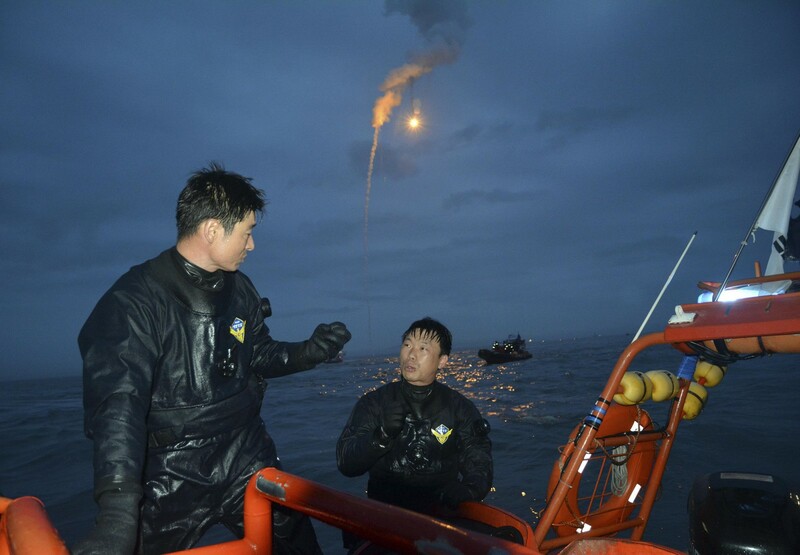 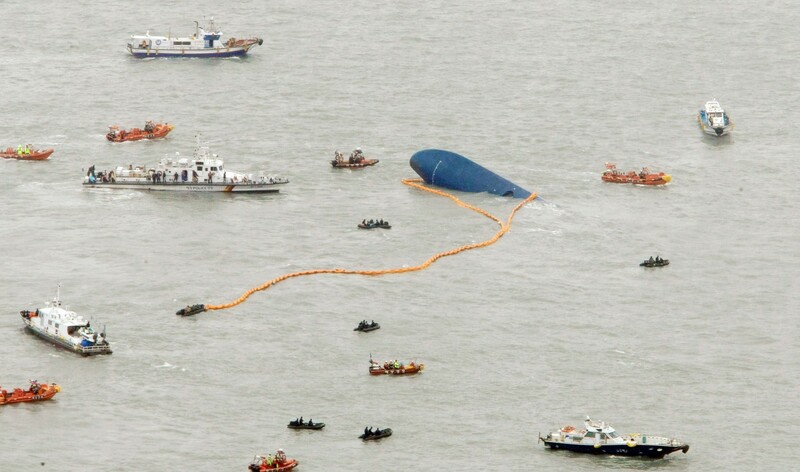 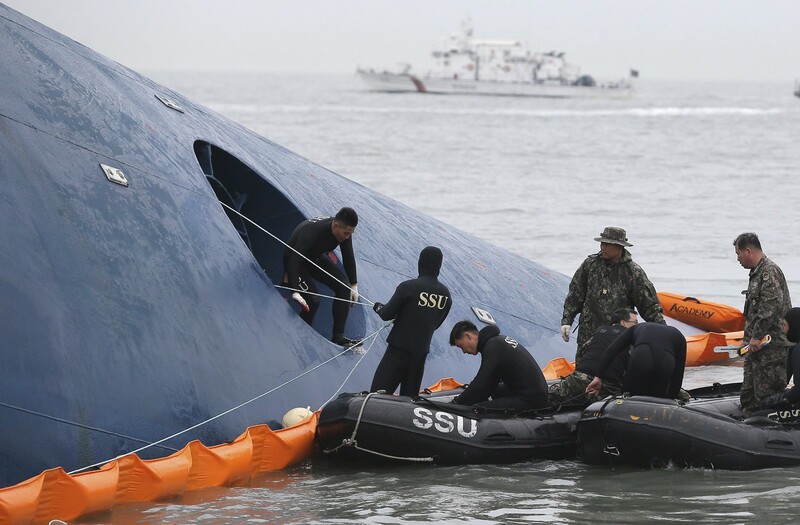 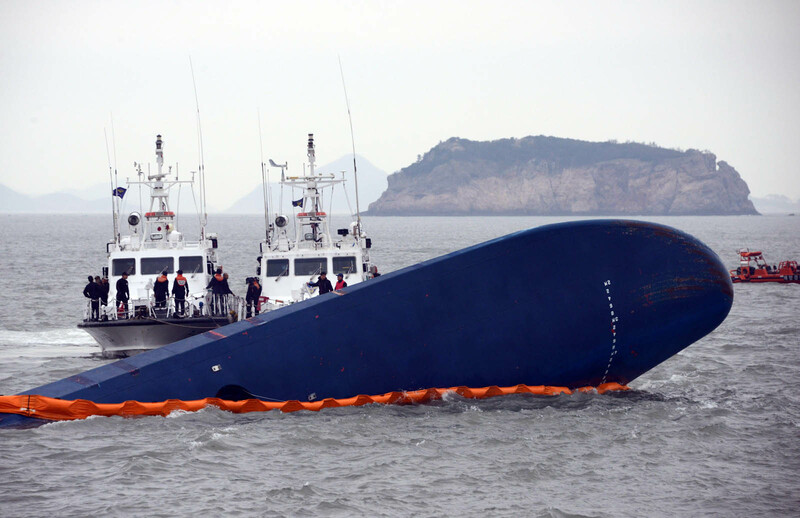 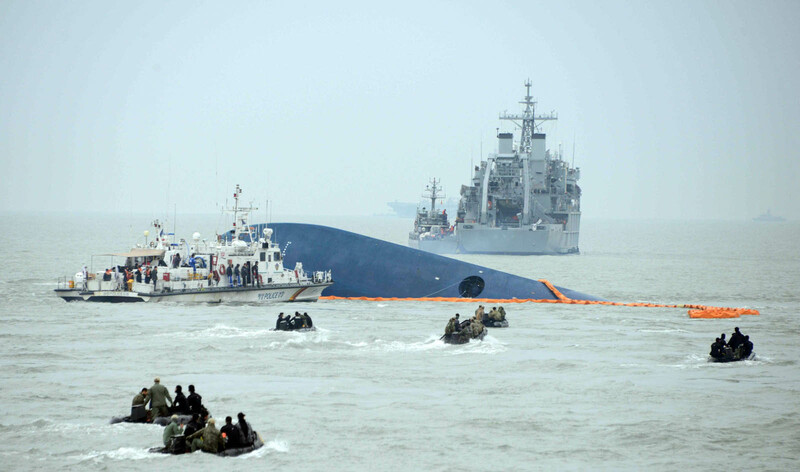 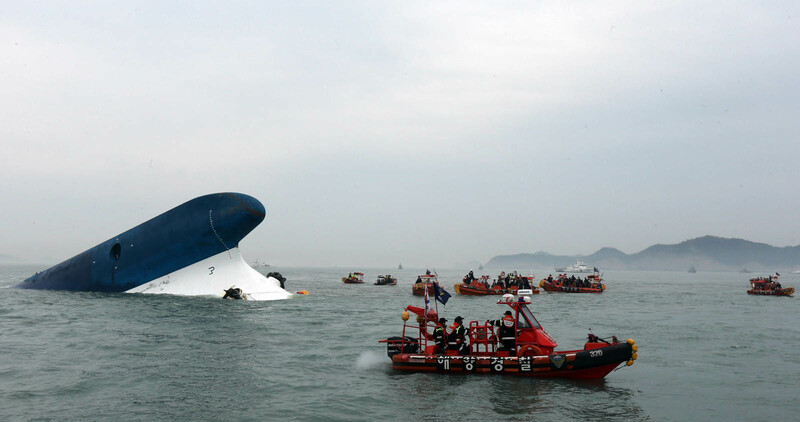 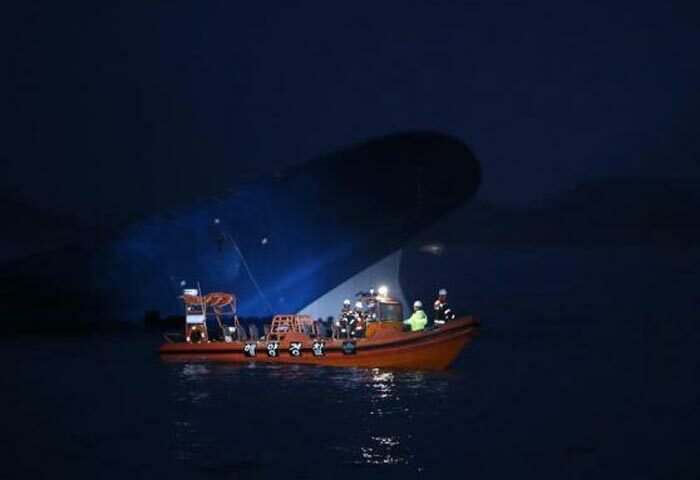 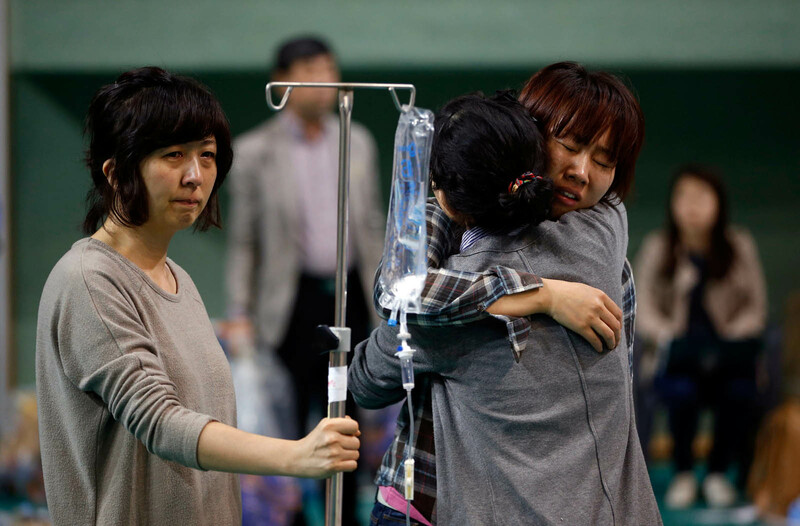 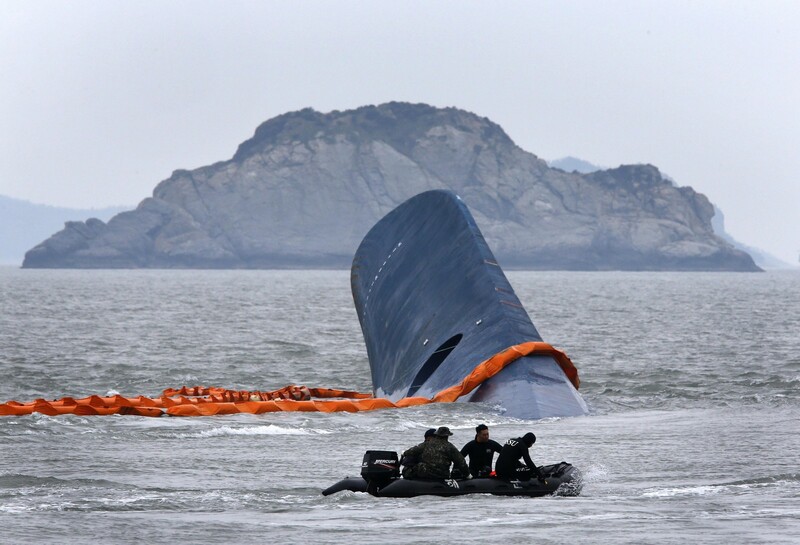 SEOUL - The head of the operation to retrieve bodies from a sunken South Korean ferry admitted Friday he had "no idea" when it would be over, as furious relatives accused recovery teams of dragging their feet. 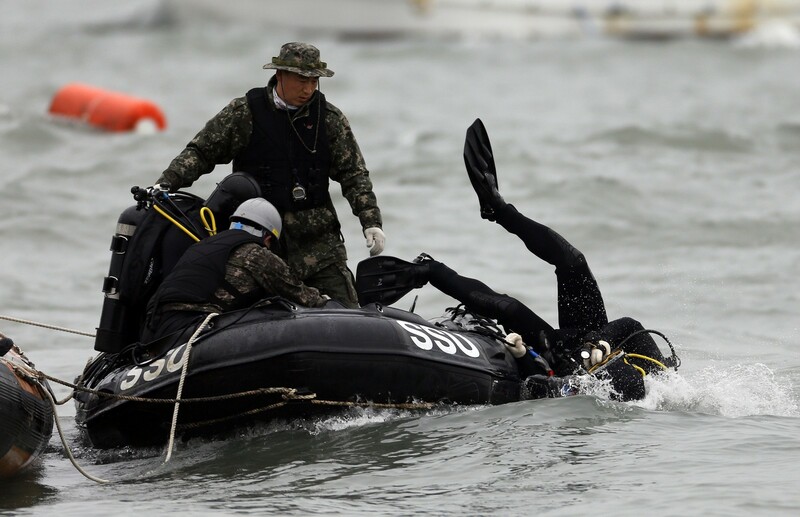 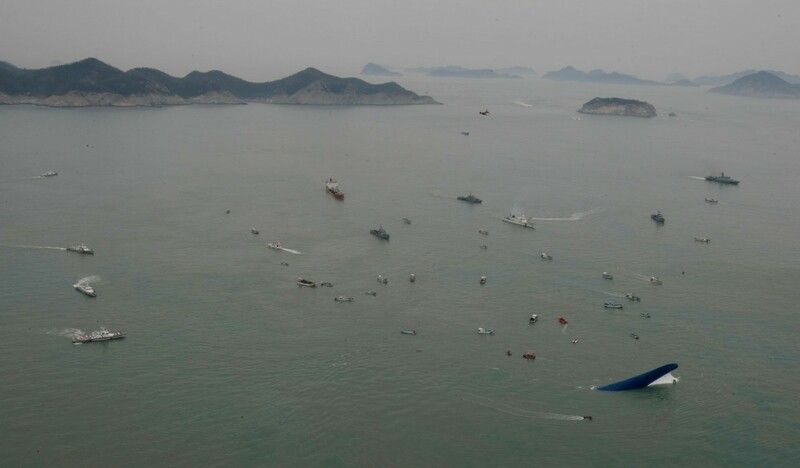 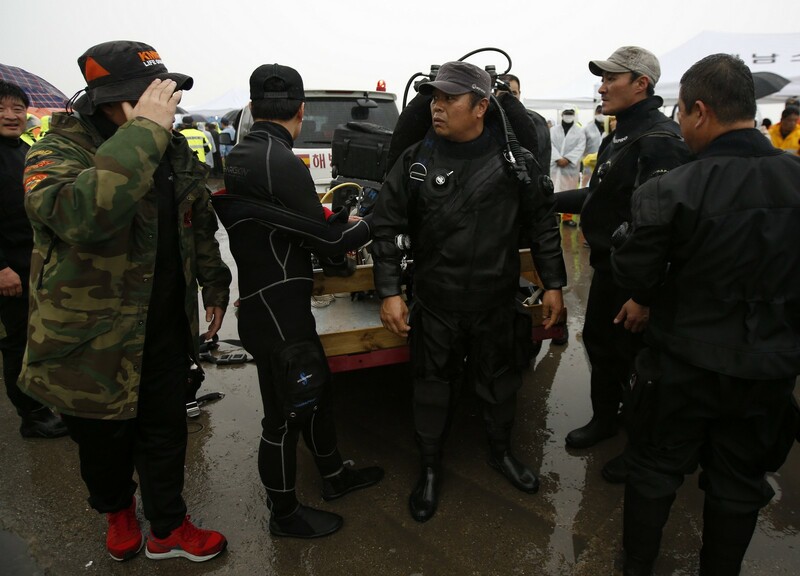 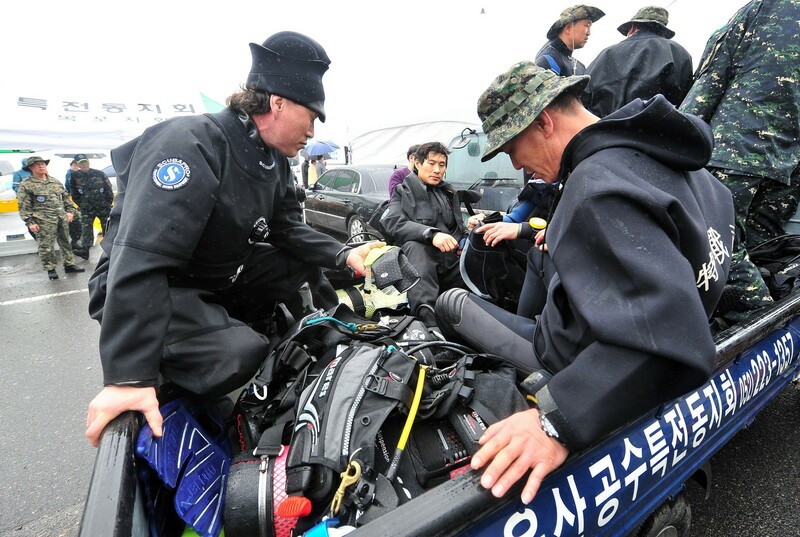 In a briefing to reporters on the southern island of Jindo - close to the disaster site - Navy Captain Kim Jin-Hwang spoke of divers finding rooms crammed with up to 48 bodies during their search missions over the past week. 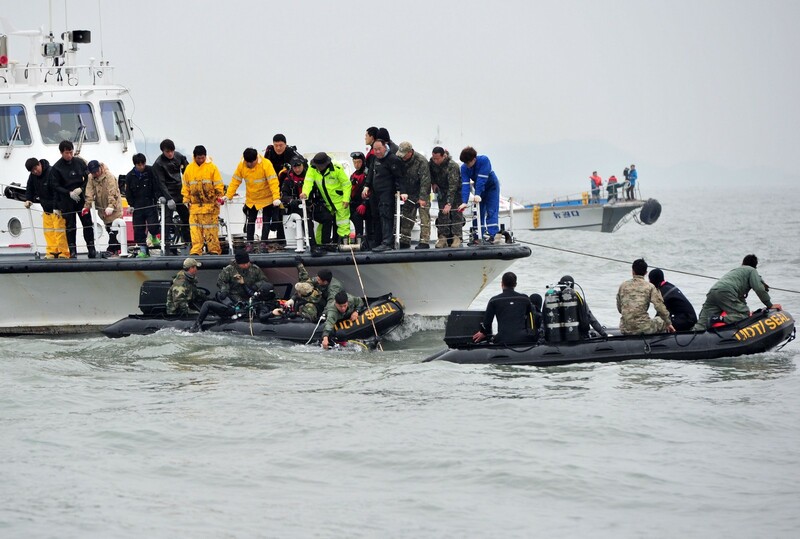 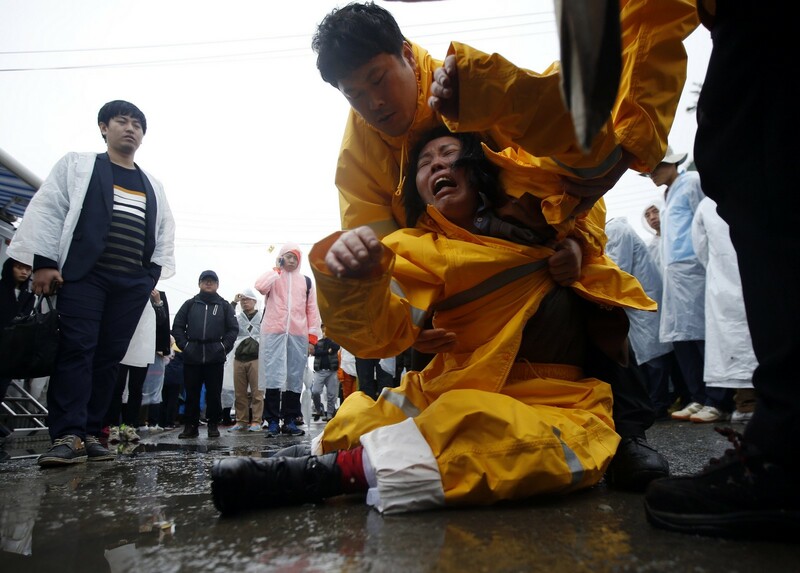 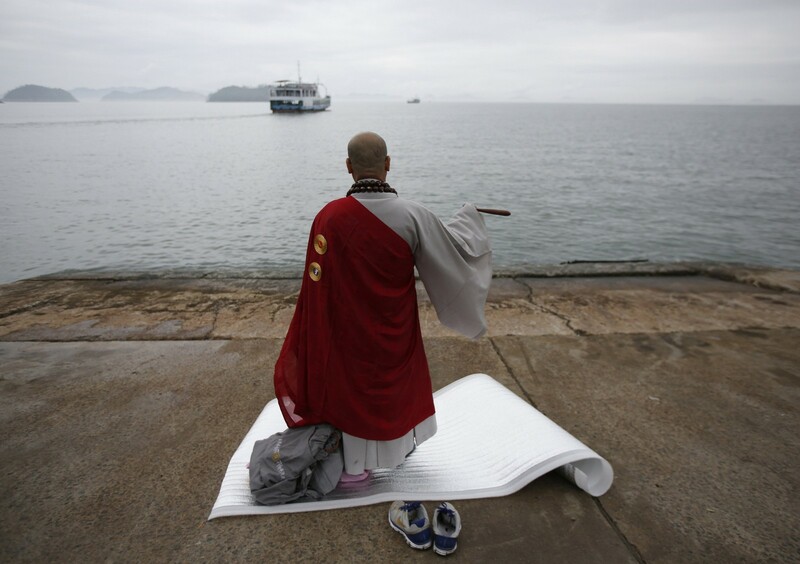 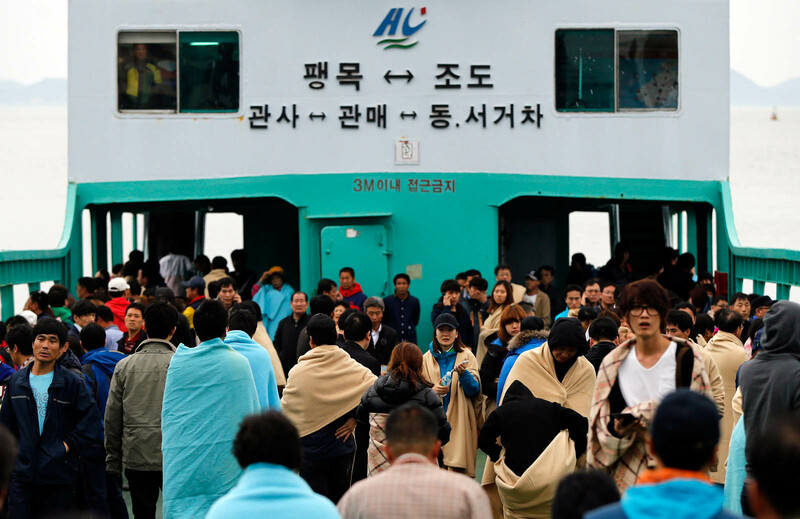 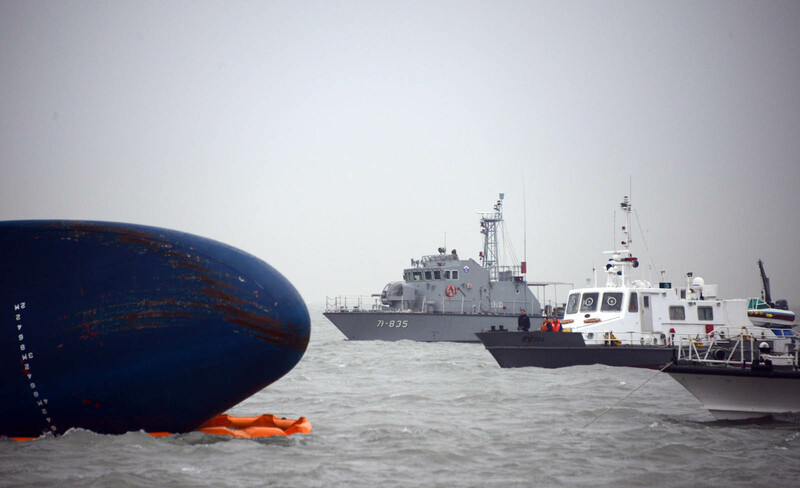 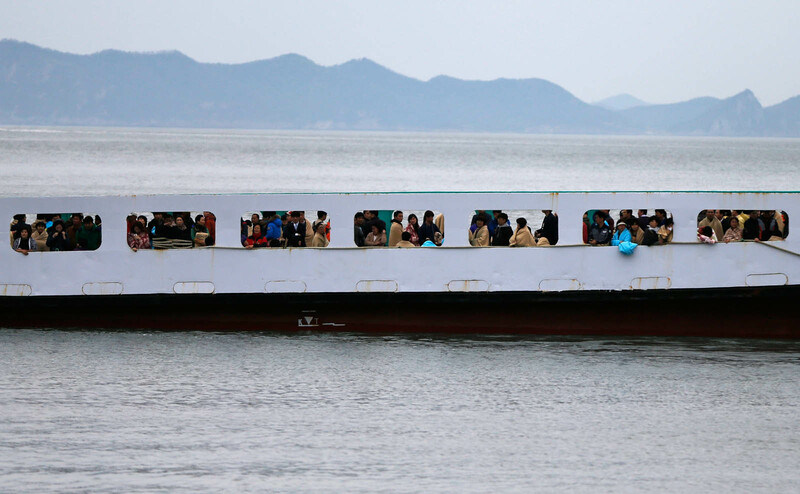 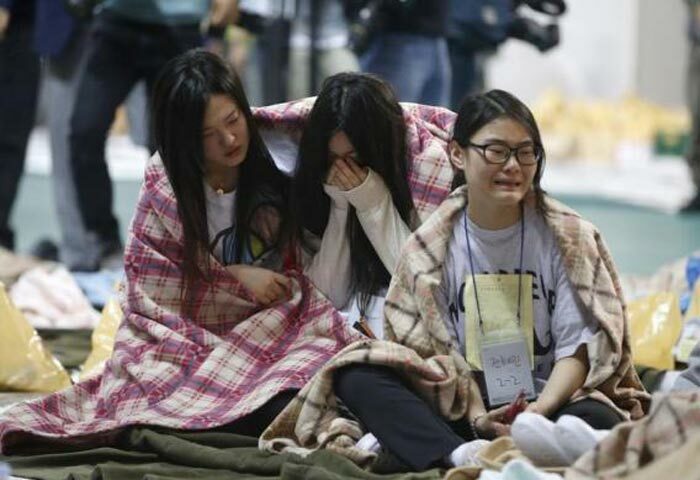 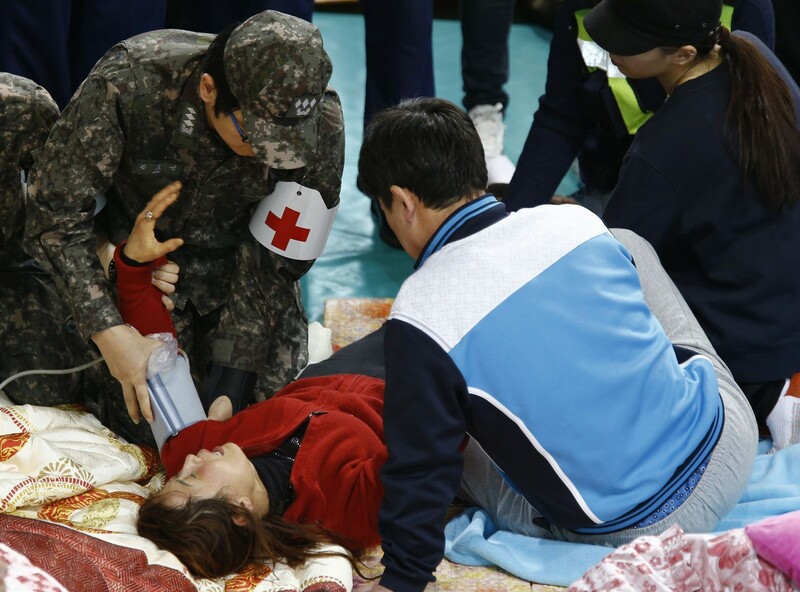 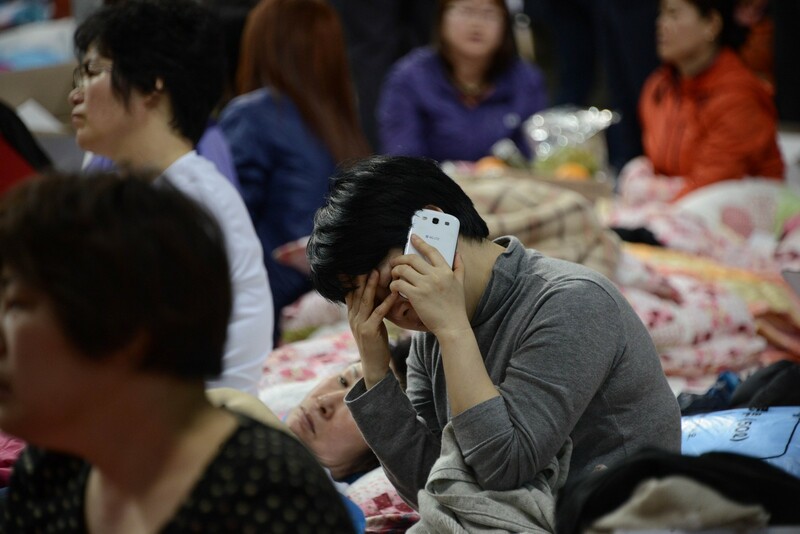 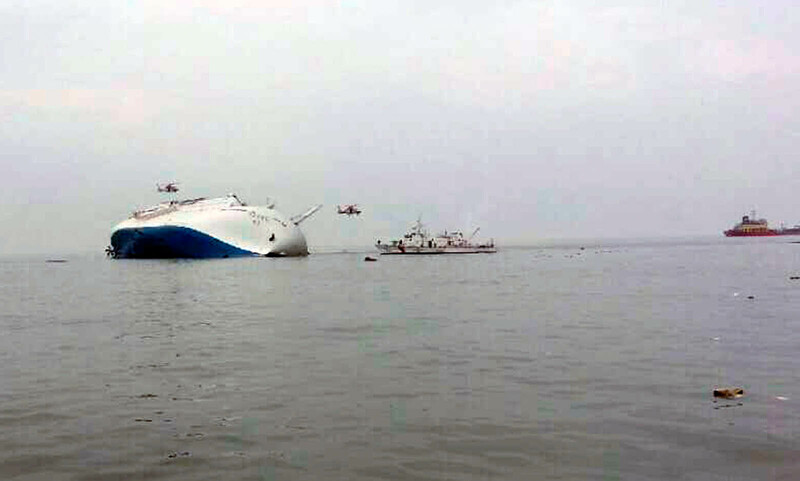 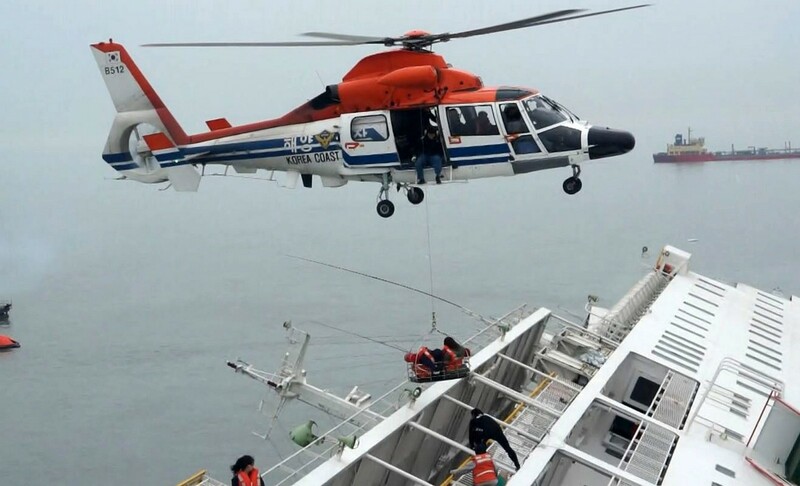 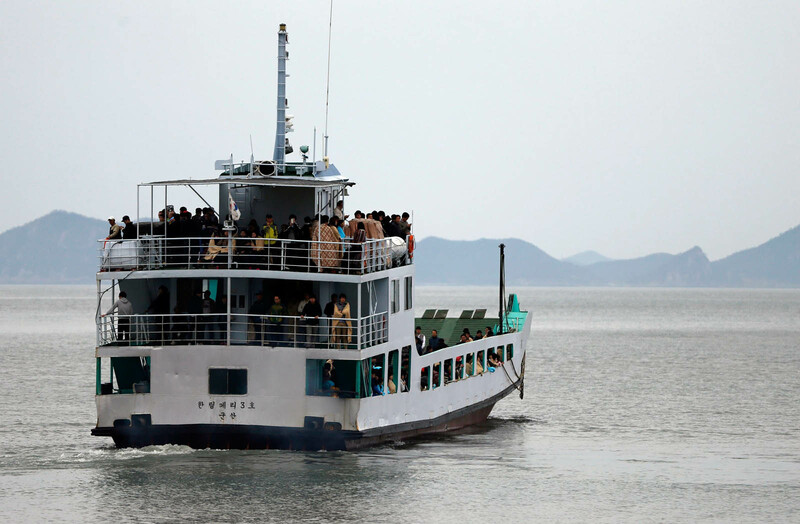 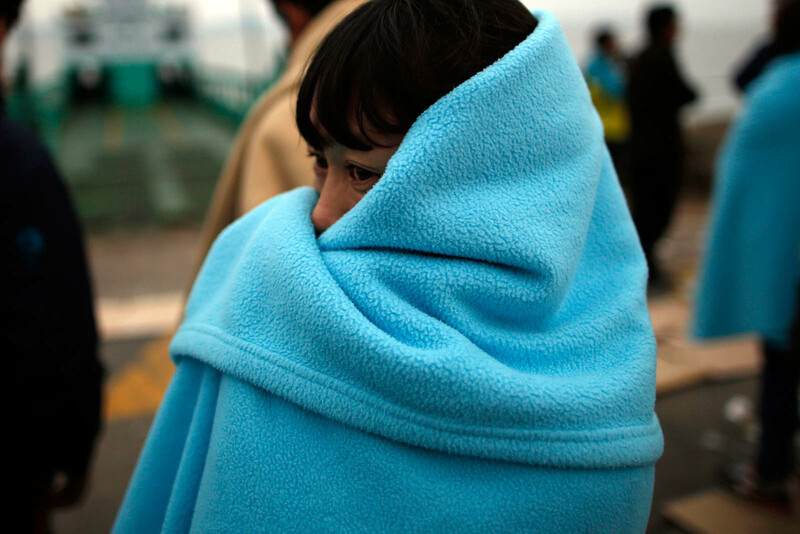 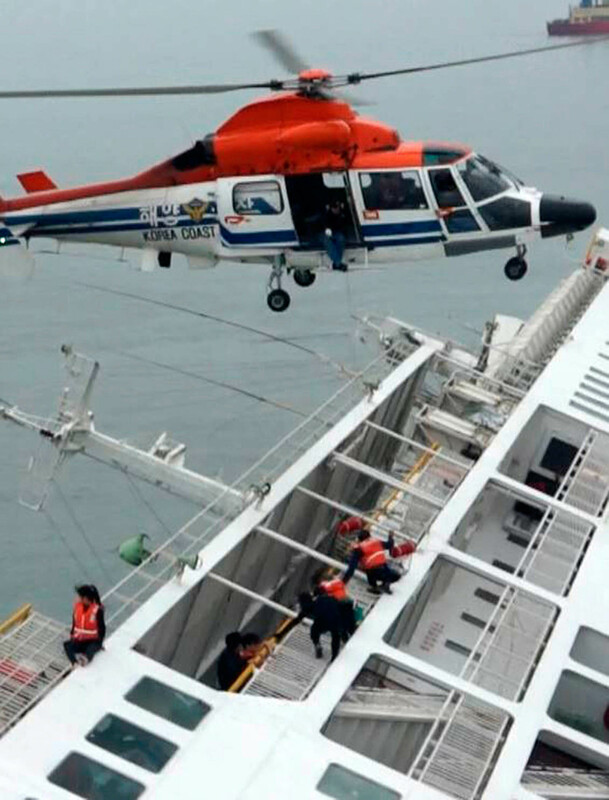 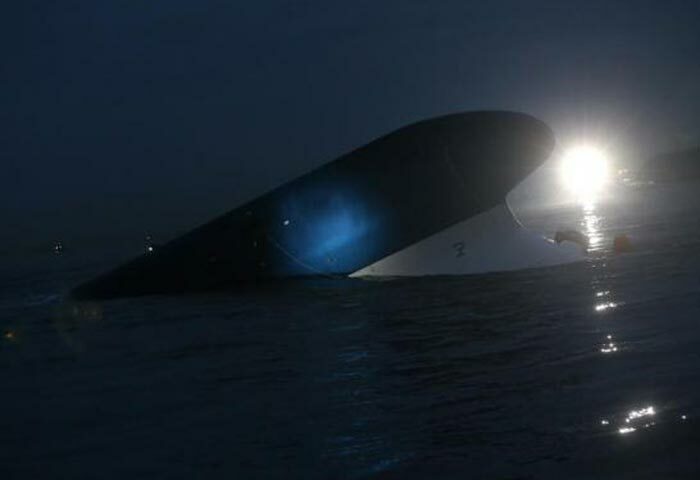 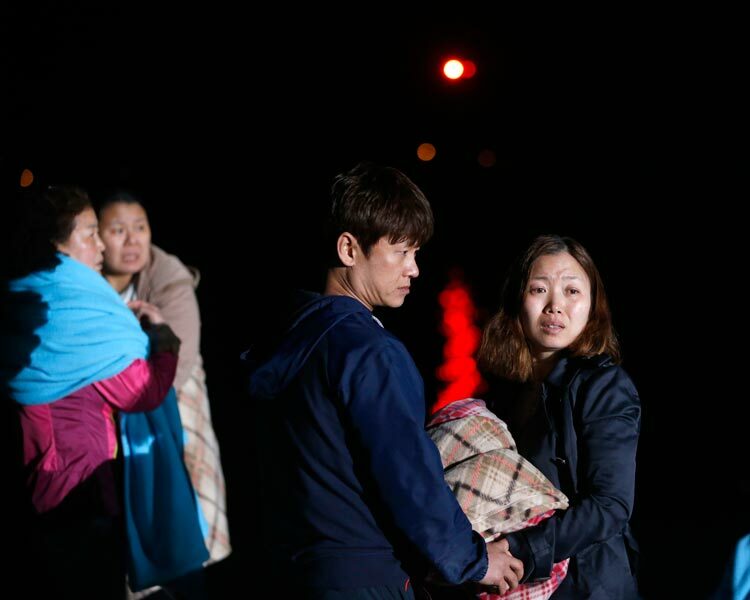 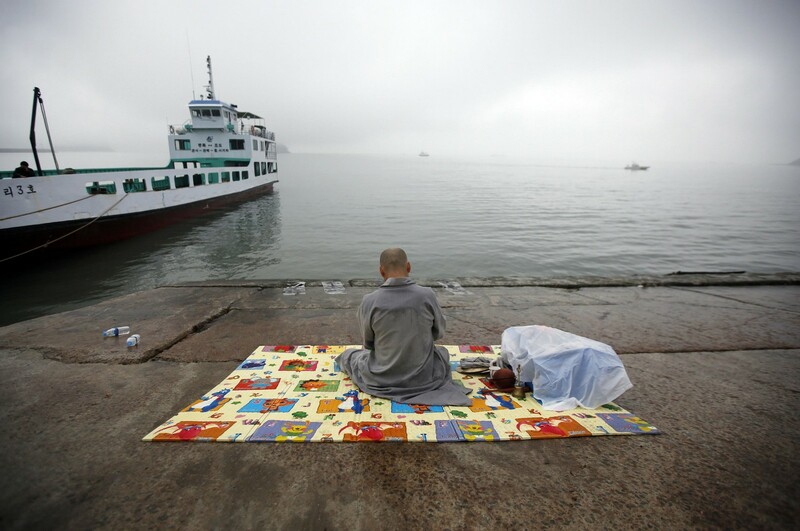 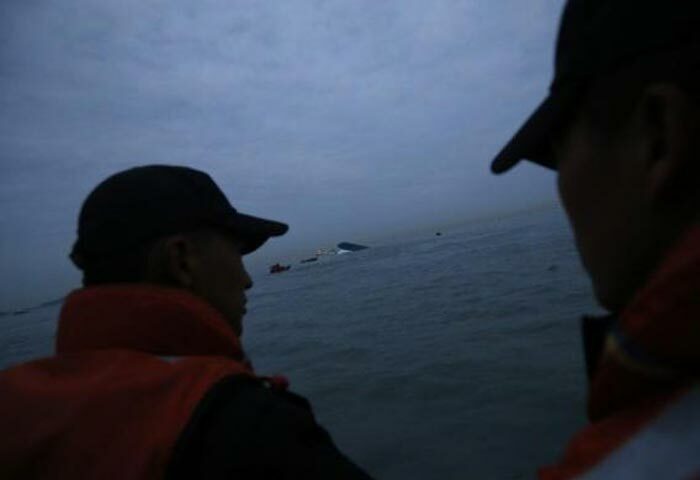 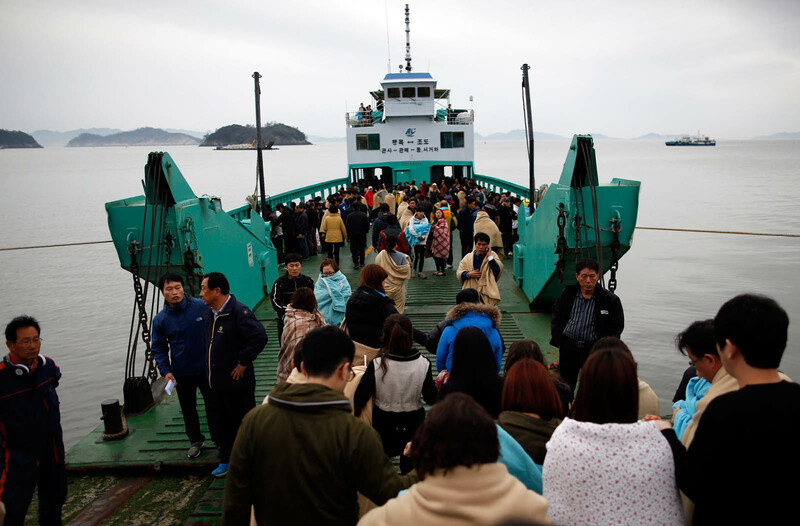 The confirmed death toll stood at 183 on Friday, but 119 people remained unaccounted for - their bodies believed still trapped in the ferry that capsized on April 16 with 476 people on board. 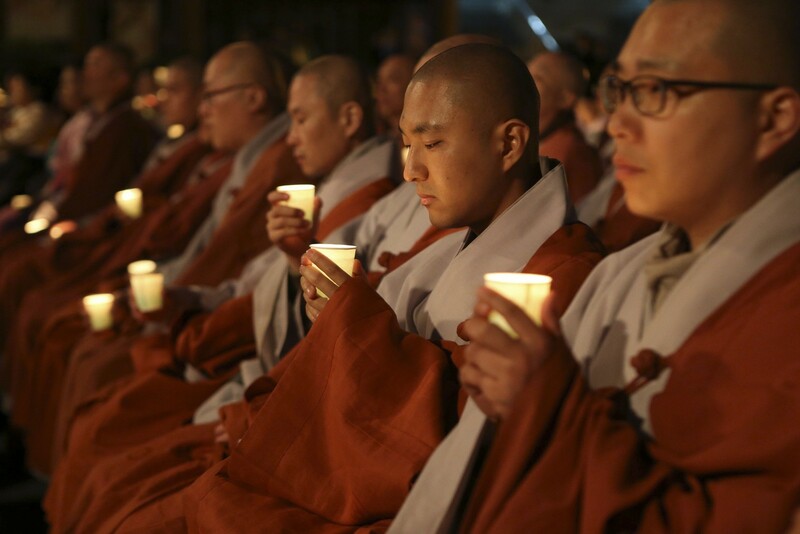 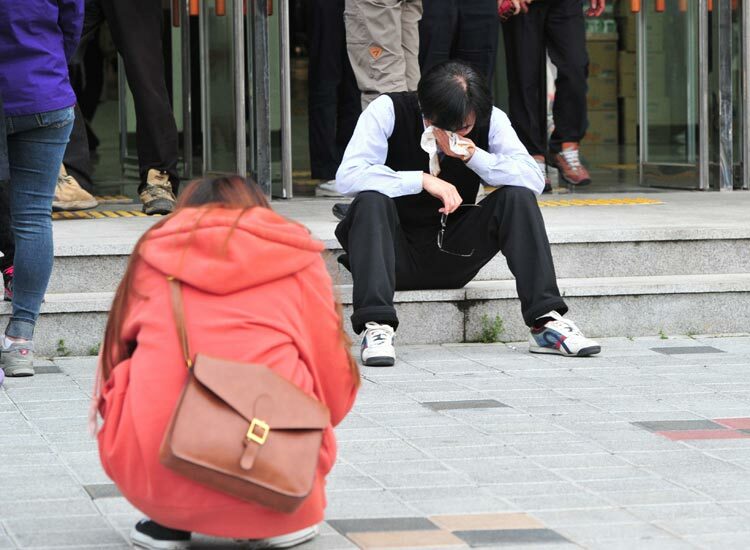 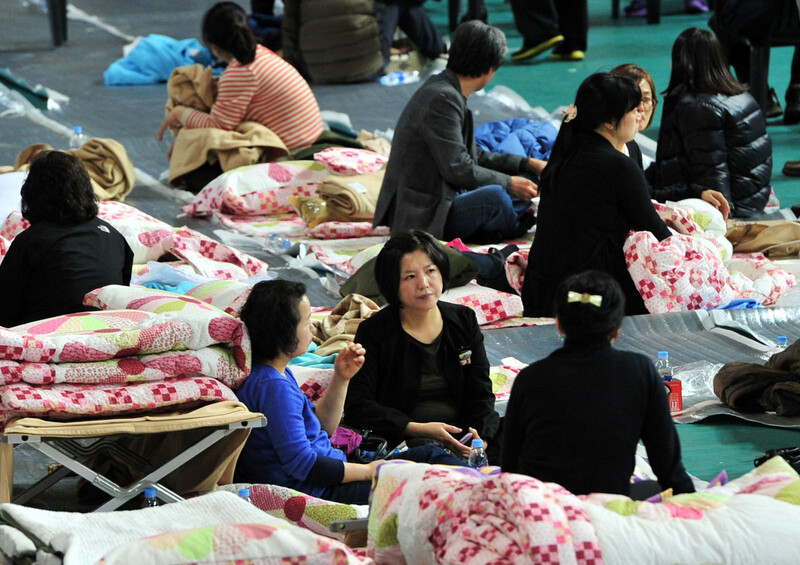 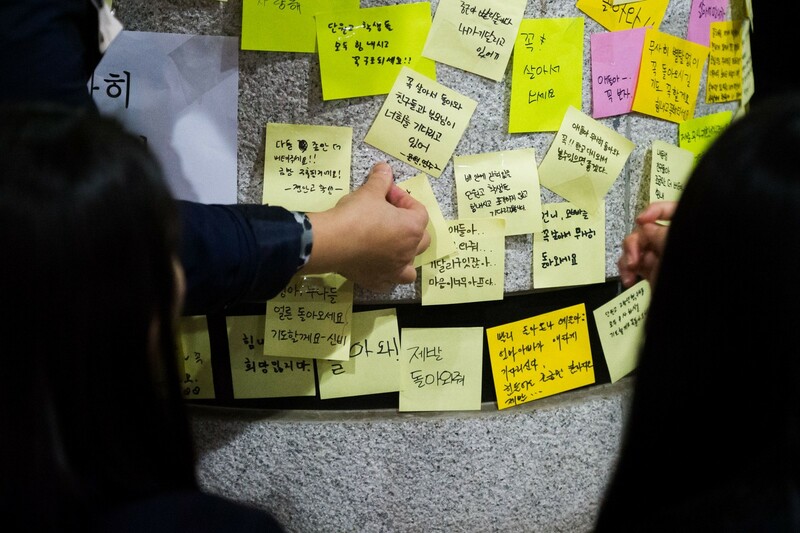 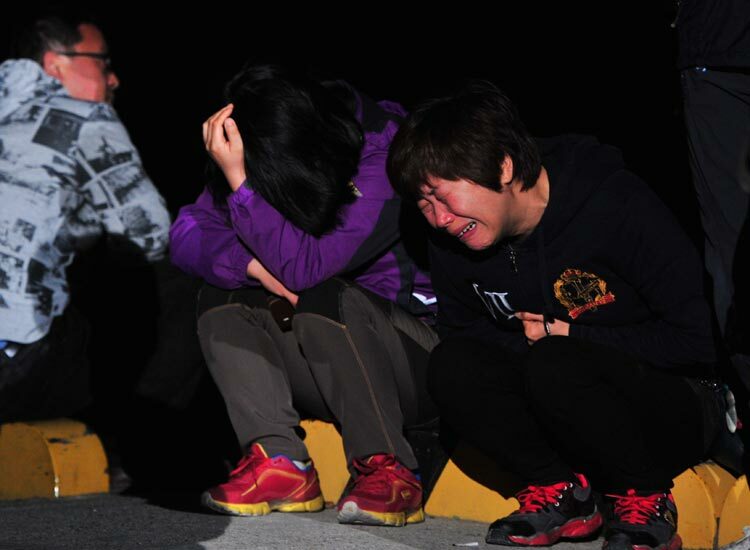 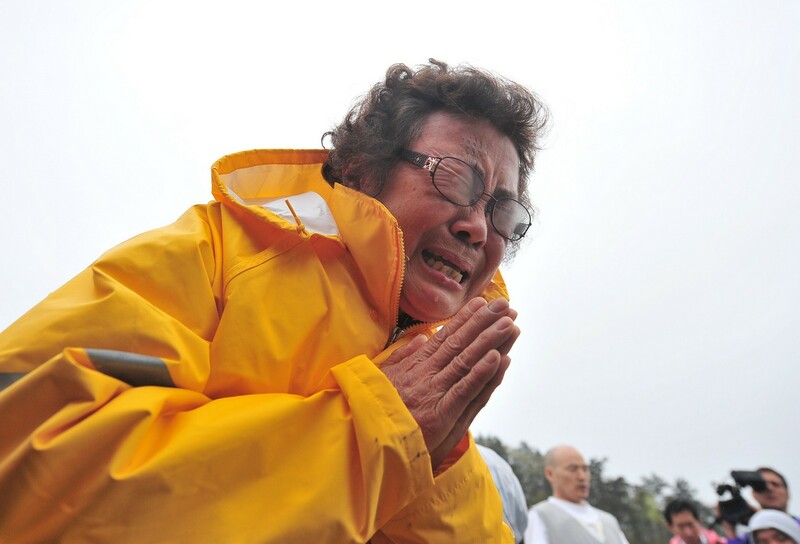 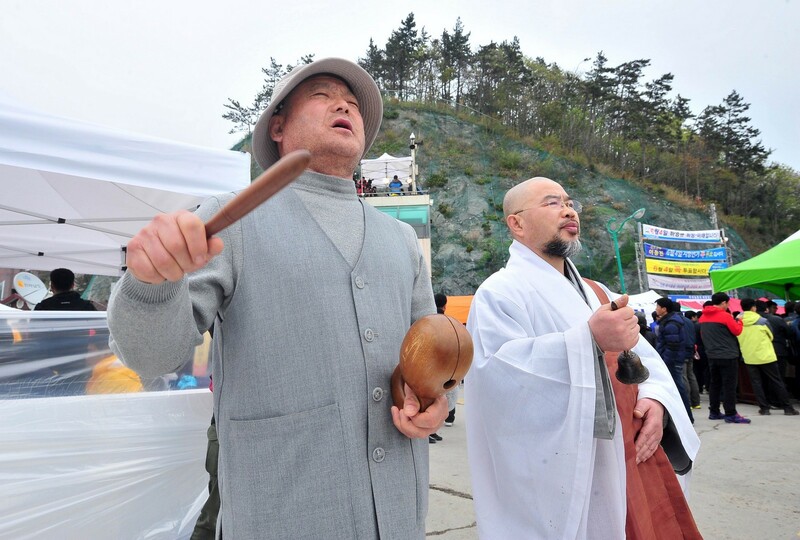 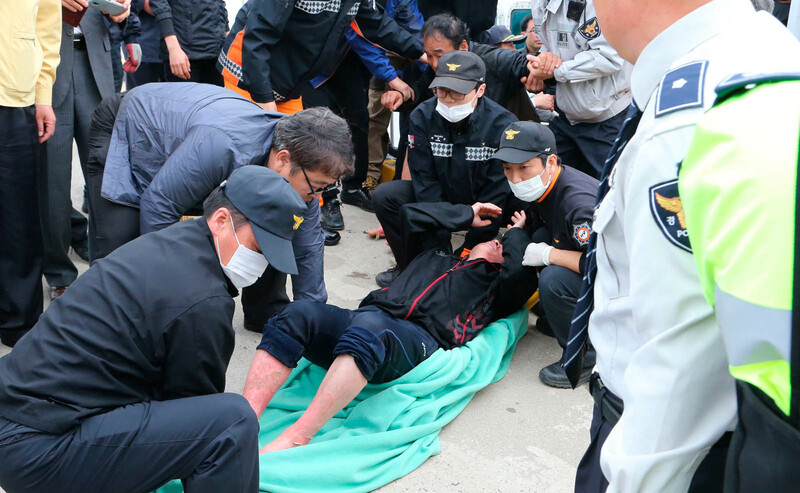 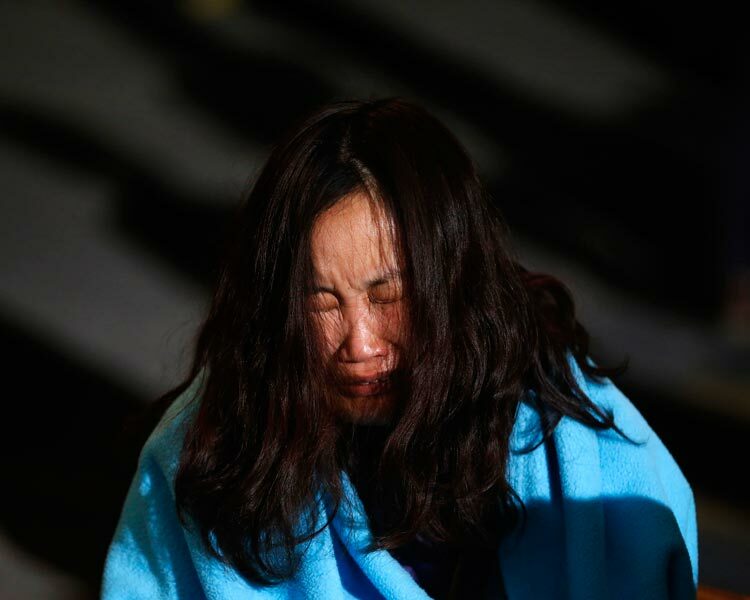 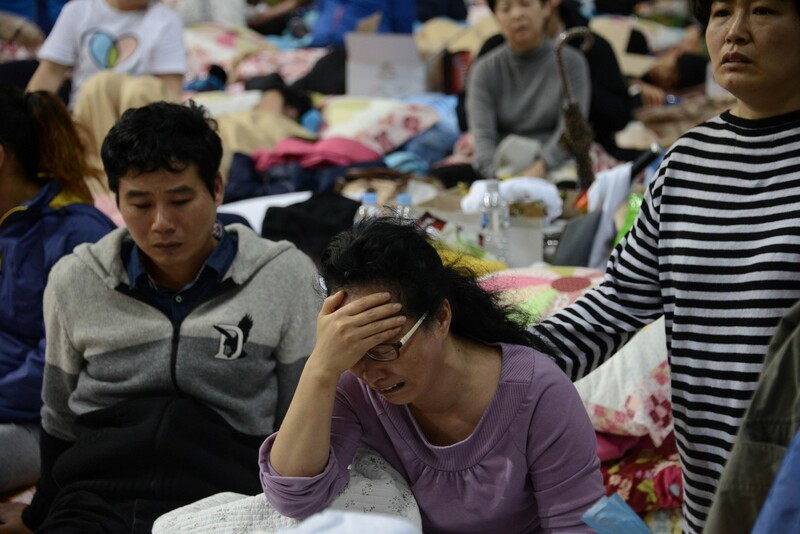 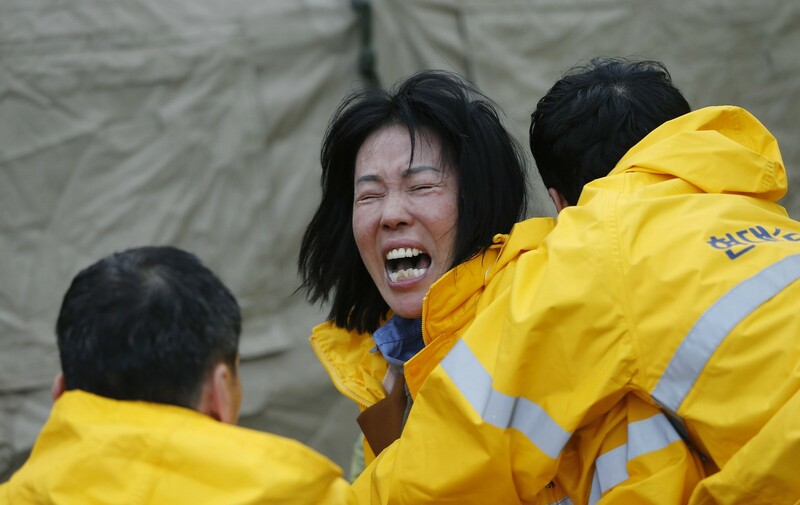 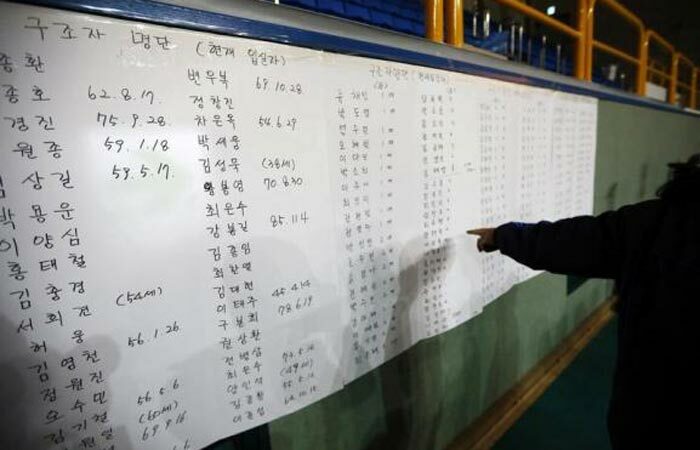 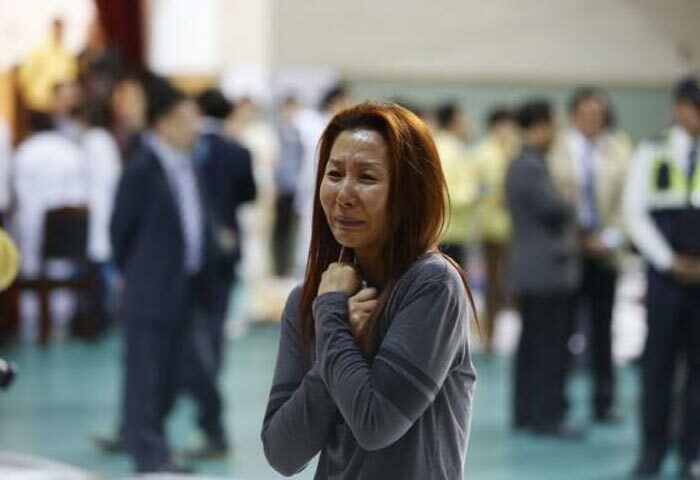 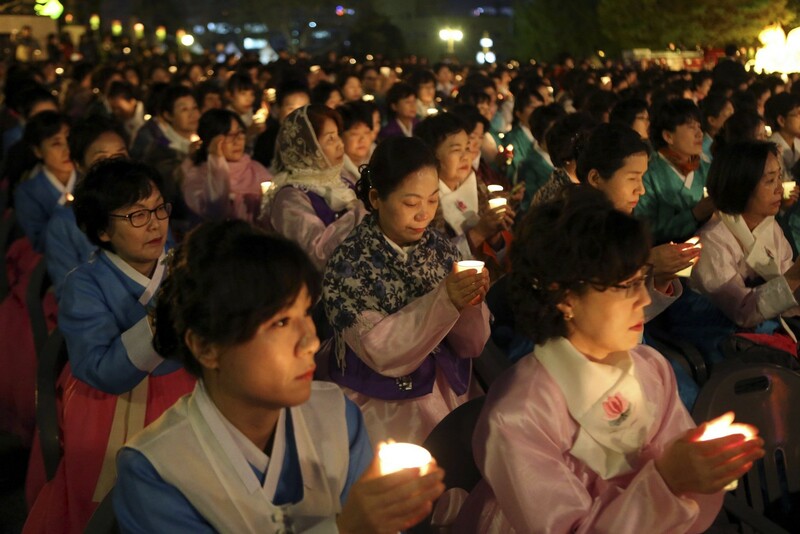 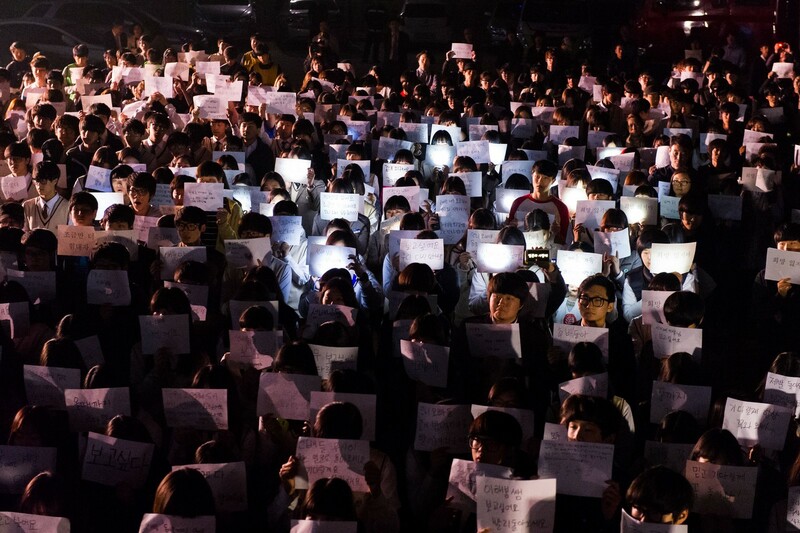 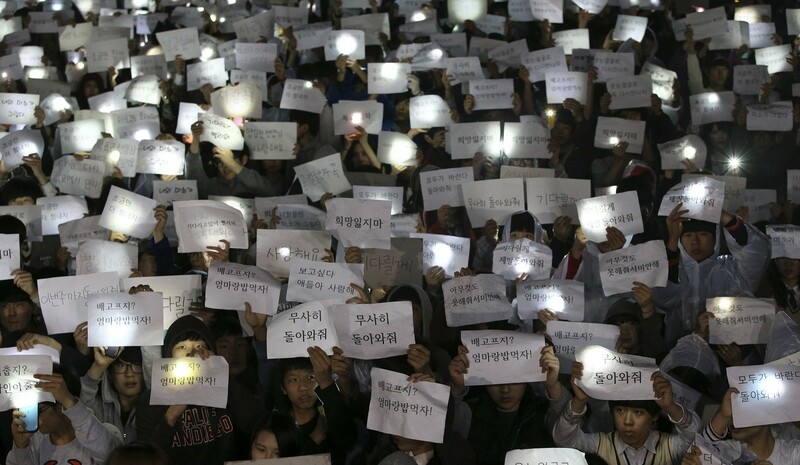 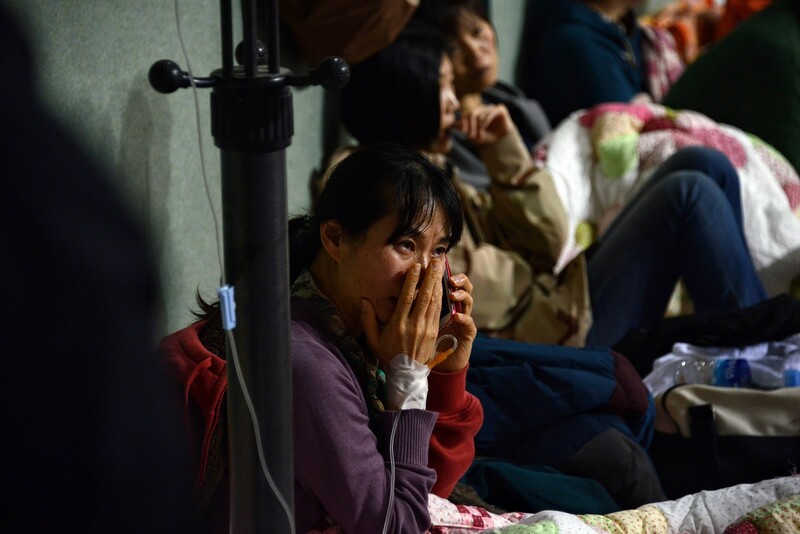 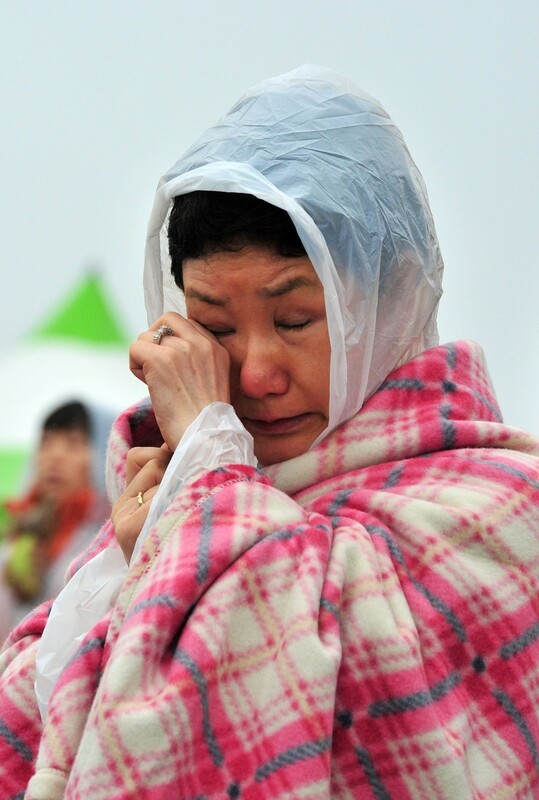 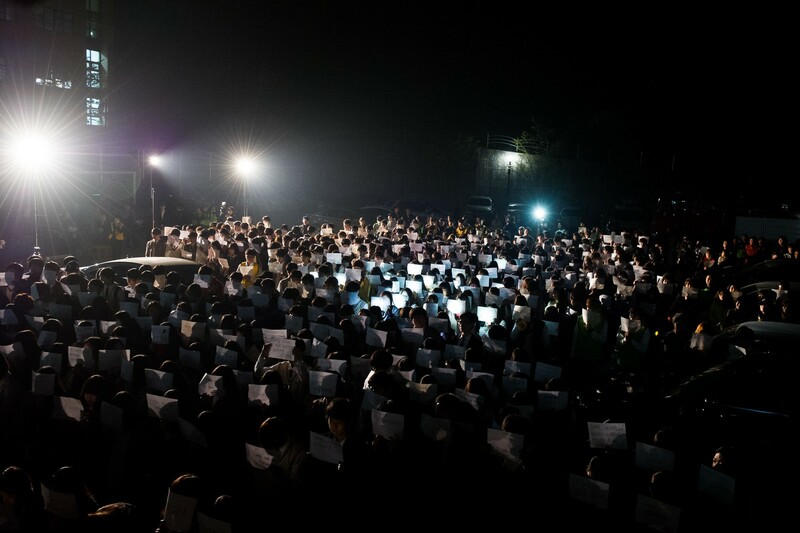 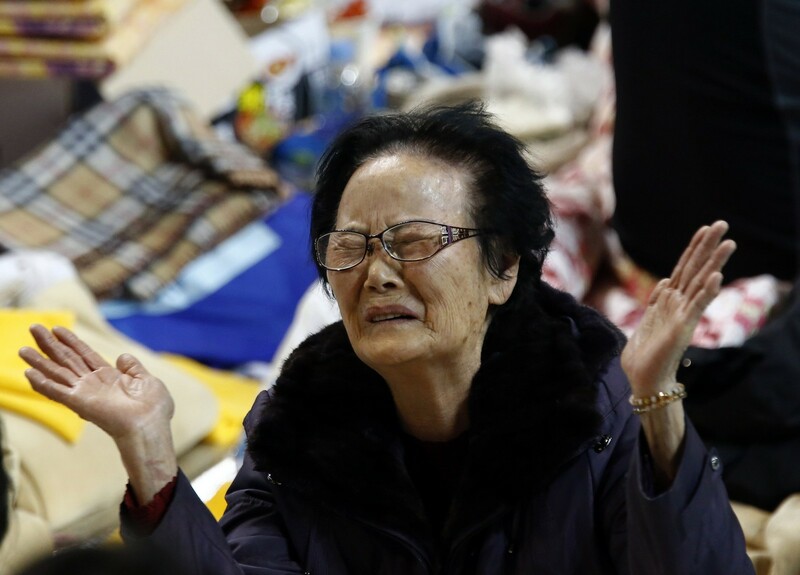 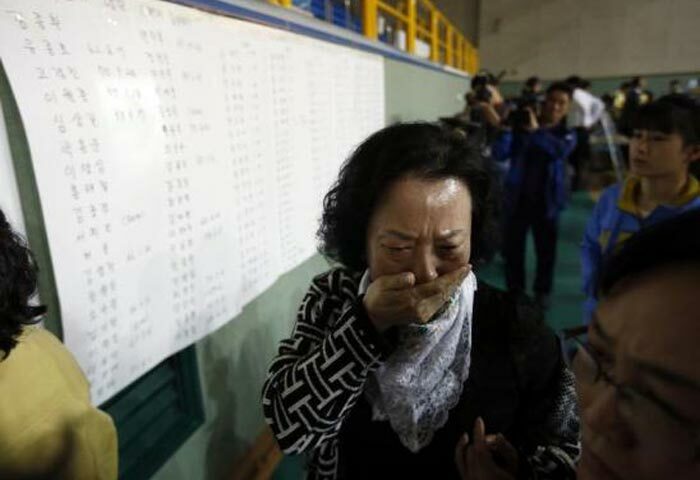 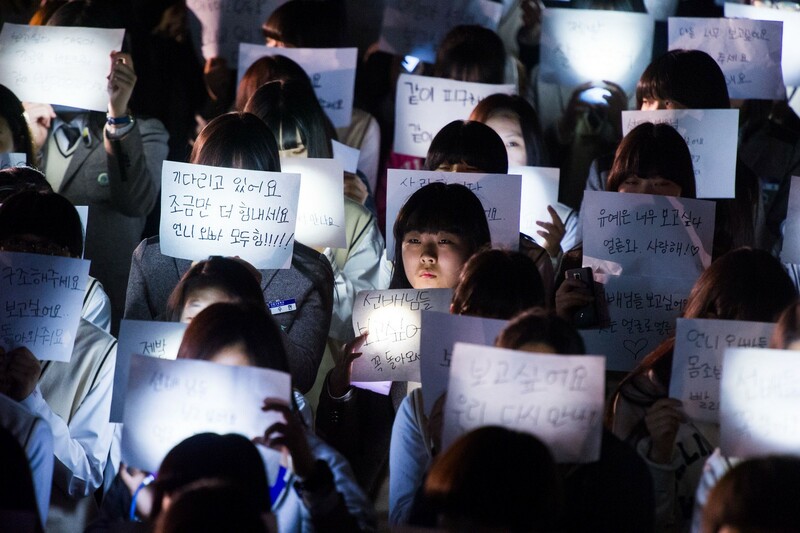 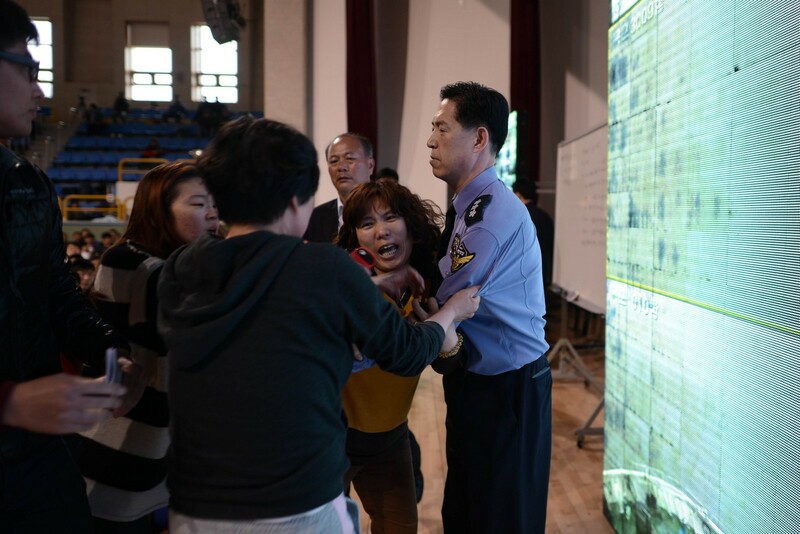 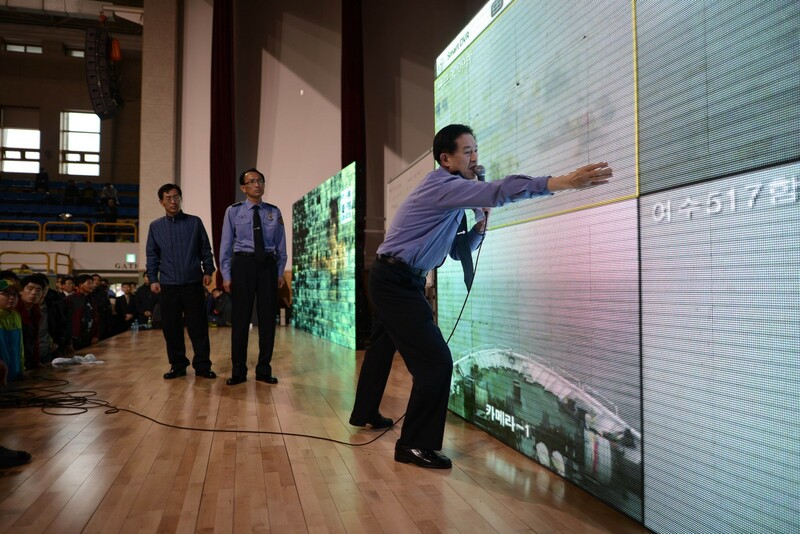 Although all hope of finding survivors has been extinguished, there is still anger and deep frustration among relatives of the missing over the pace of the recovery operation off the southern island of Jindo. 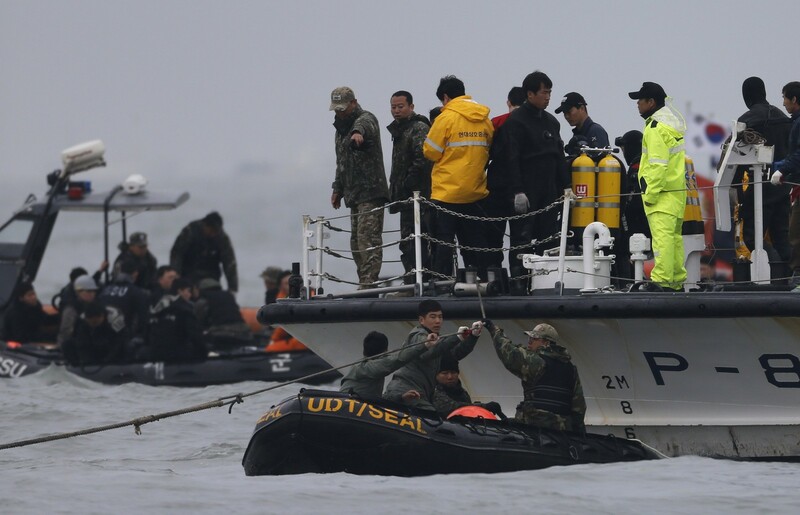 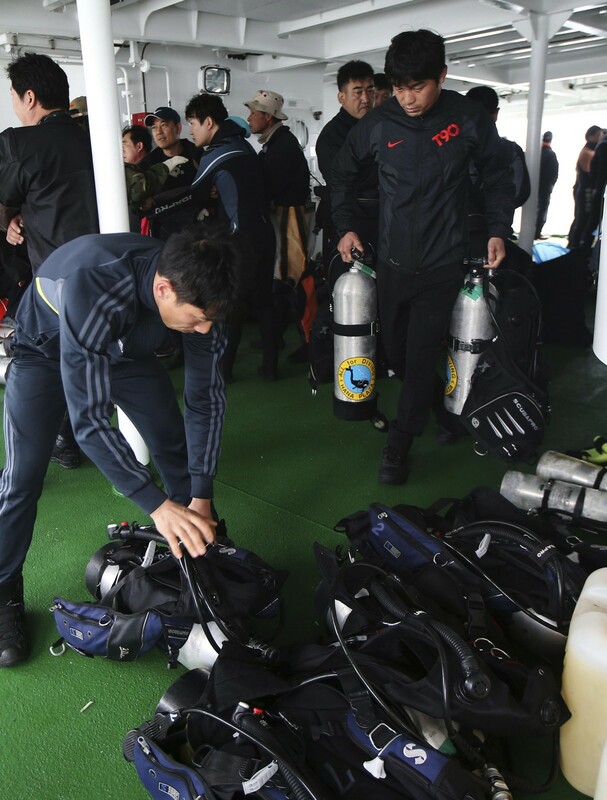 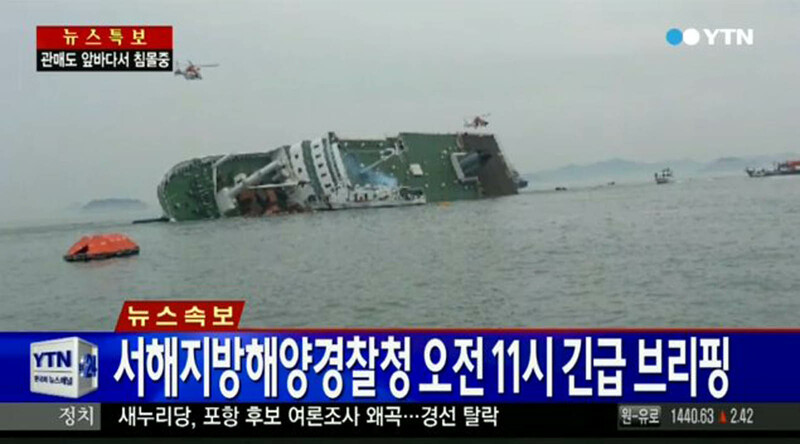 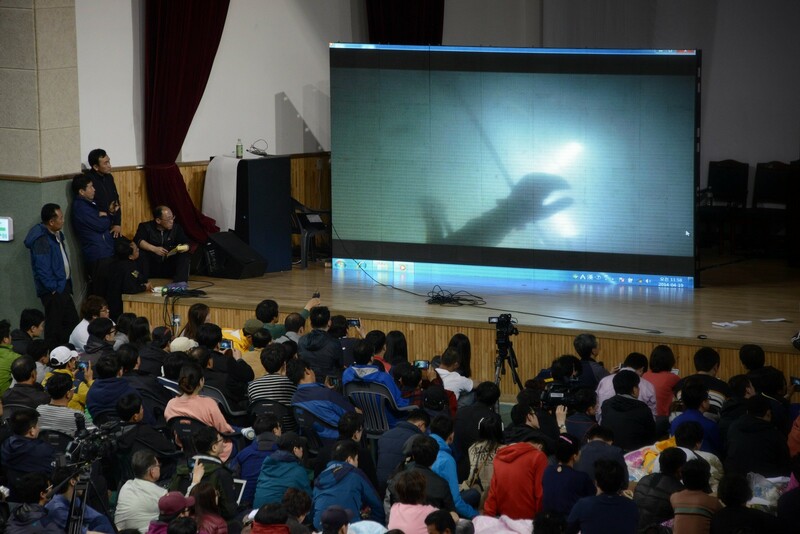 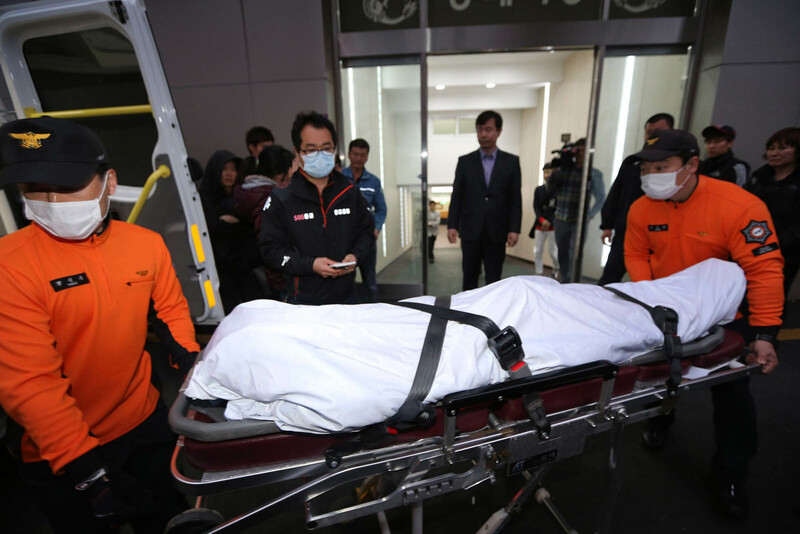 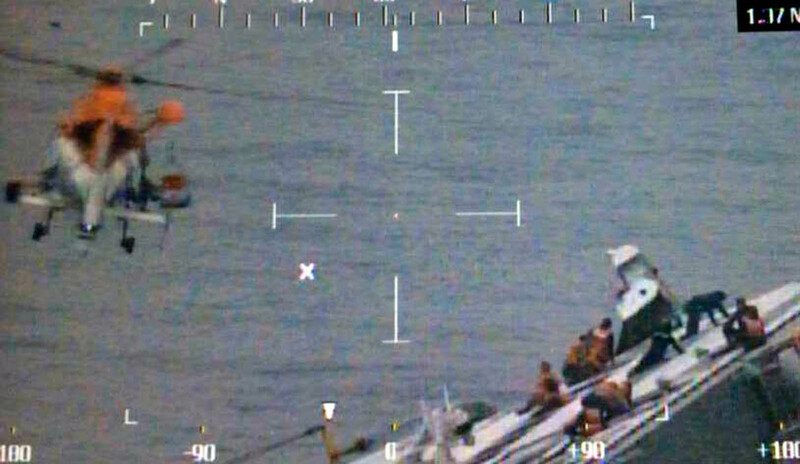 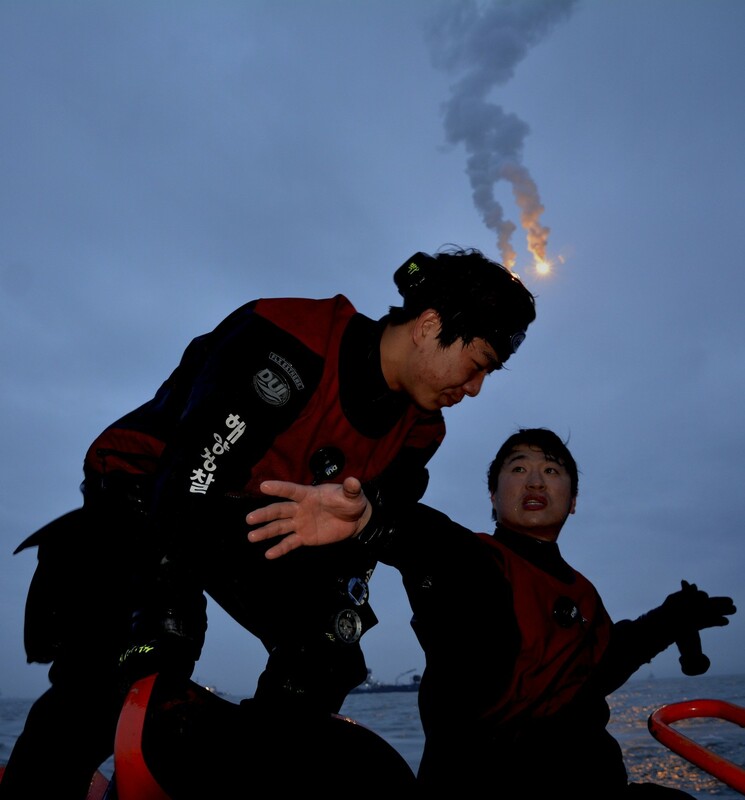 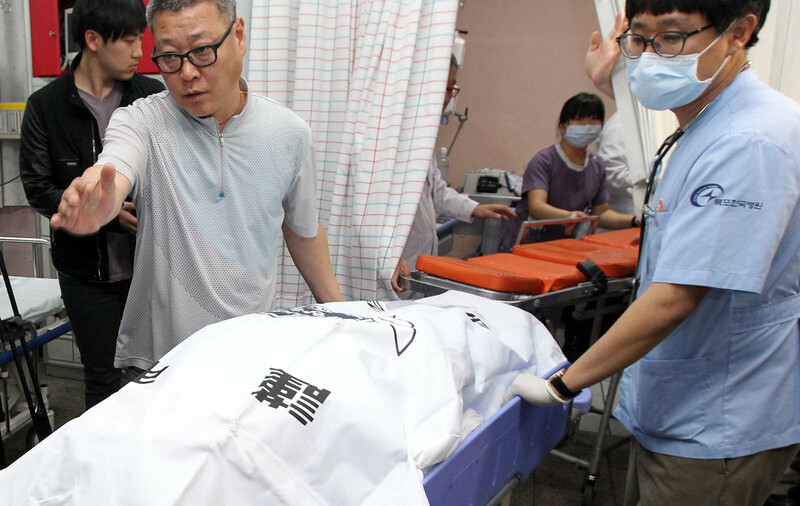 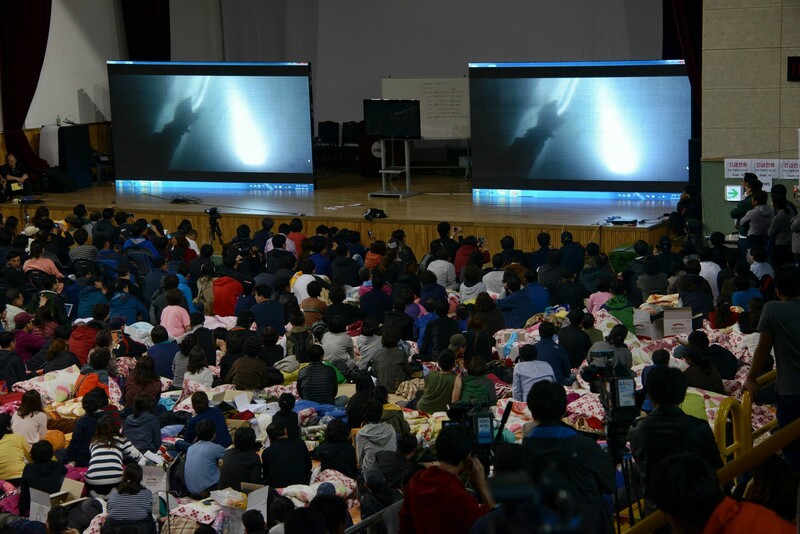 Kim said his divers had found one dormitory room - that would normally have held around 31 people - packed with the bodies of 48 students wearing lifejackets. 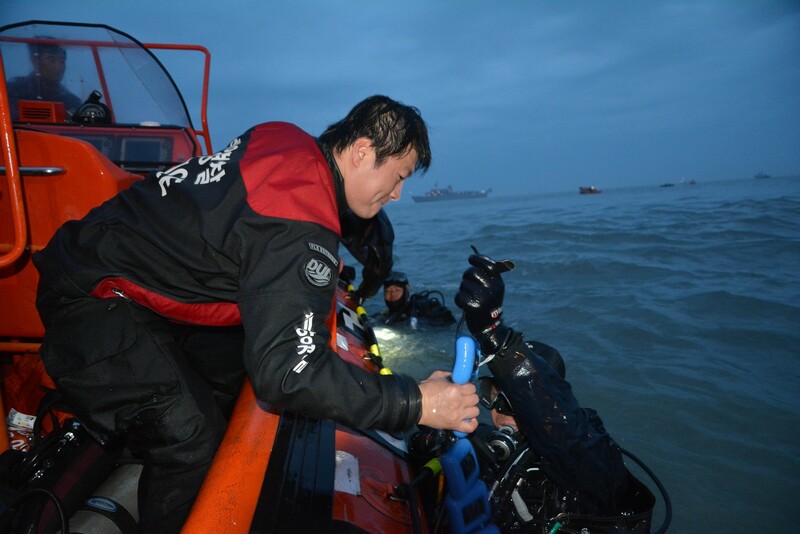 He stressed that retrieving the bodies was far harder than finding them, with divers unable to spend much longer than 10 minutes inside the ship at a time. 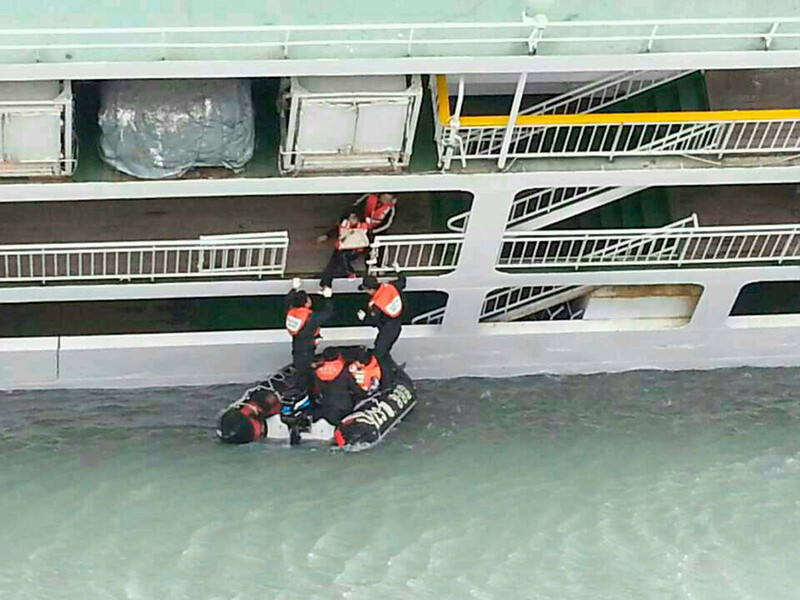 Many of the corridors are blocked by plywood boards and other debris and only one-third of the rooms on board have been accessed so far, he said. 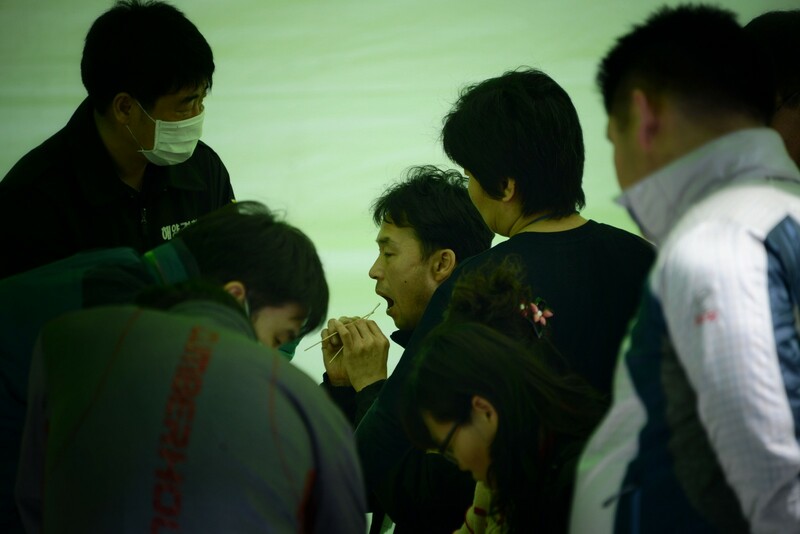 "It's very stressful," Kim said, adding that the divers were all too aware of the criticism from the families that they were not working hard enough. 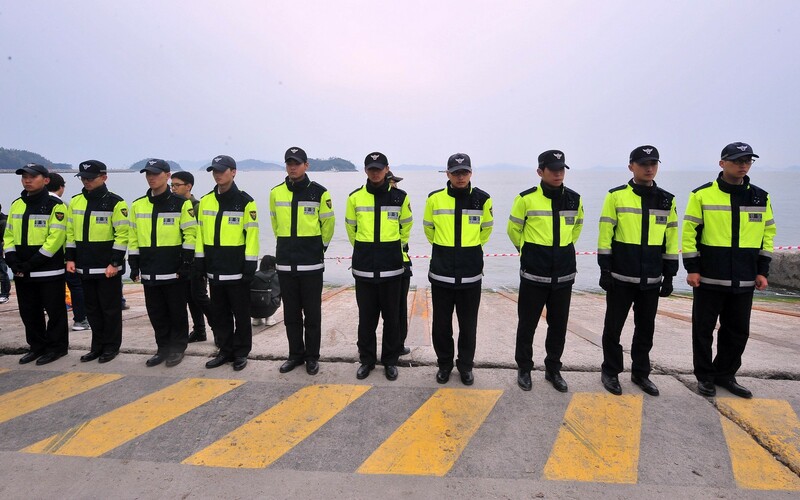 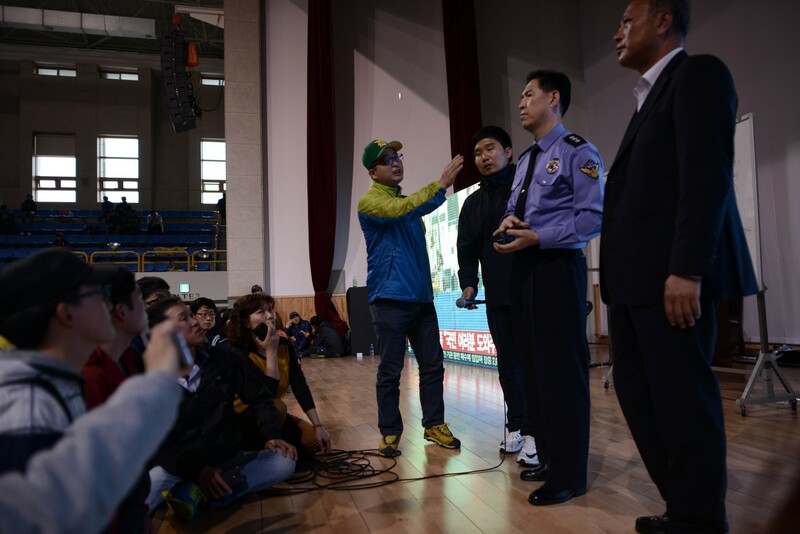 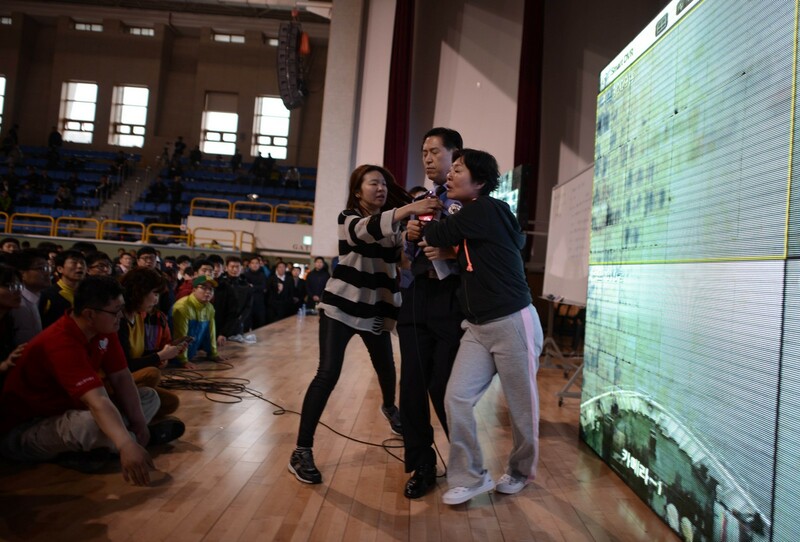 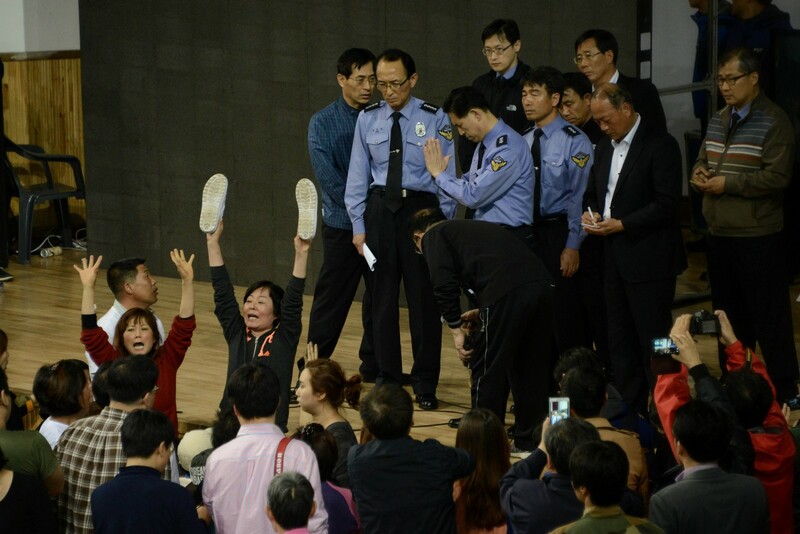 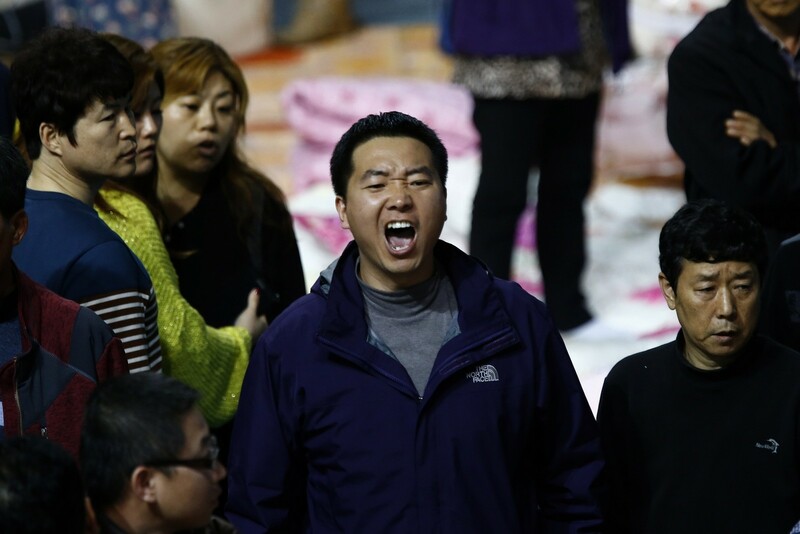 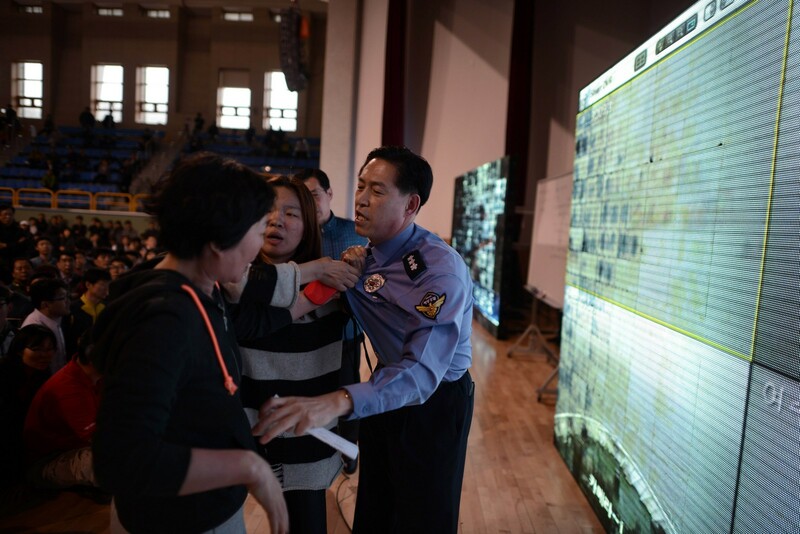 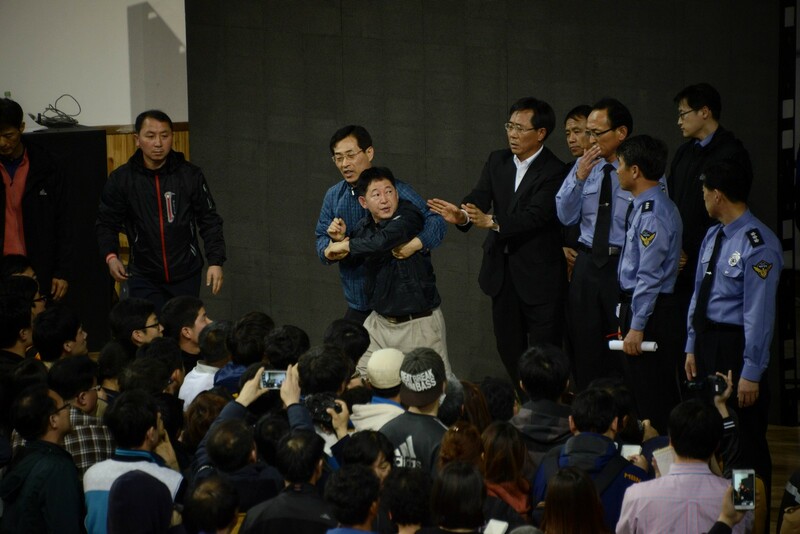 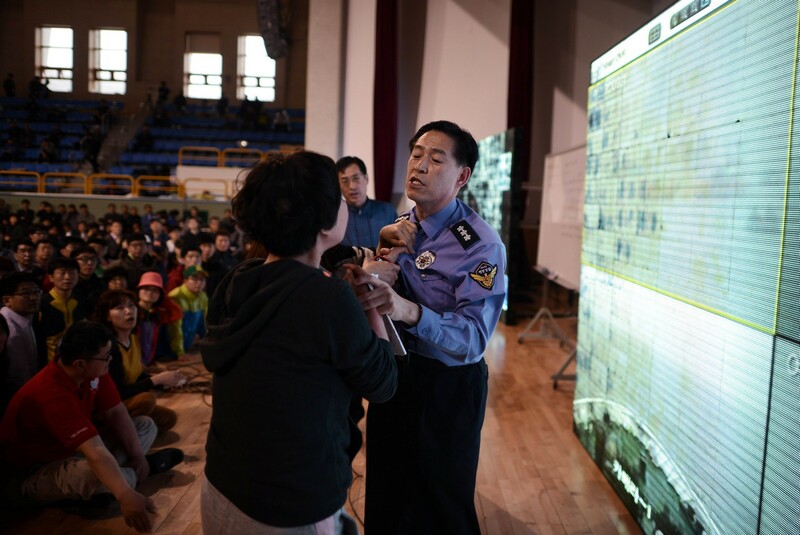 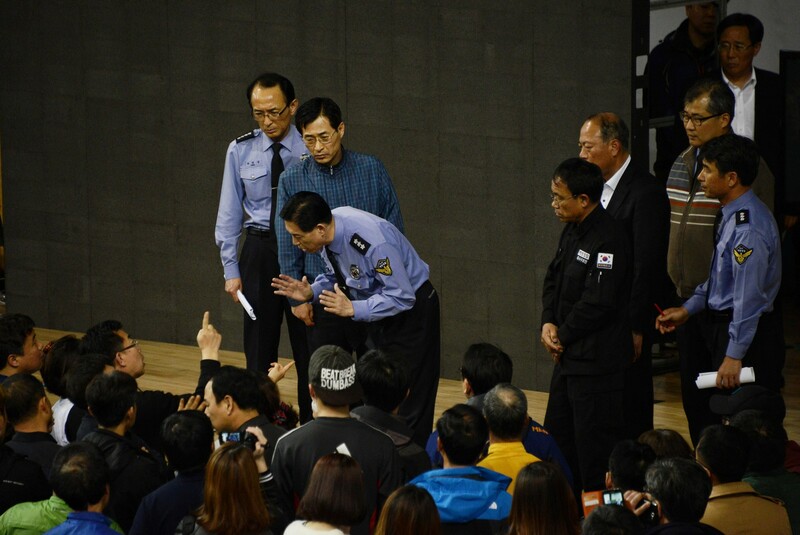 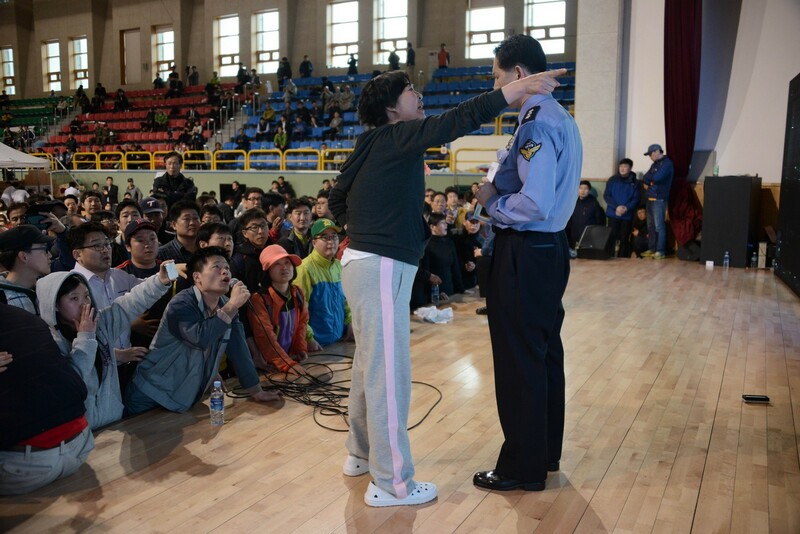 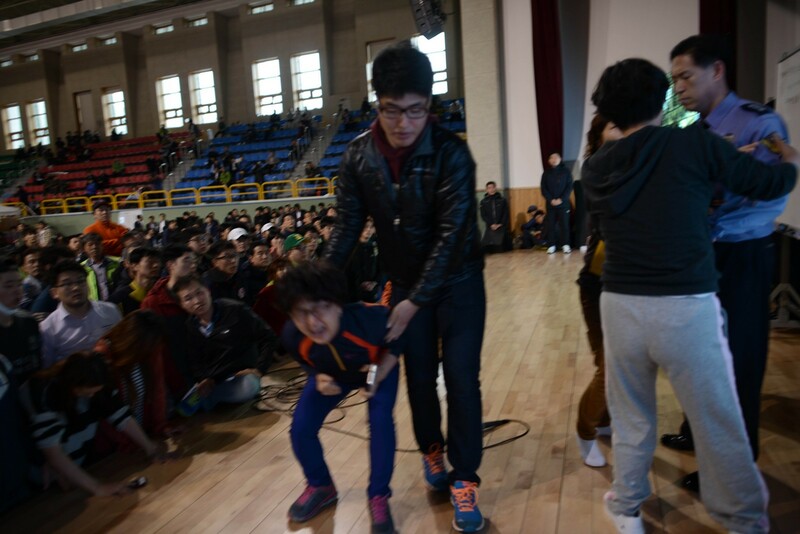 On Thursday evening a group of irate parents stormed into the Jindo office of the deputy head of the South Korean coastguard and roughly manhandled him down to the island harbour. 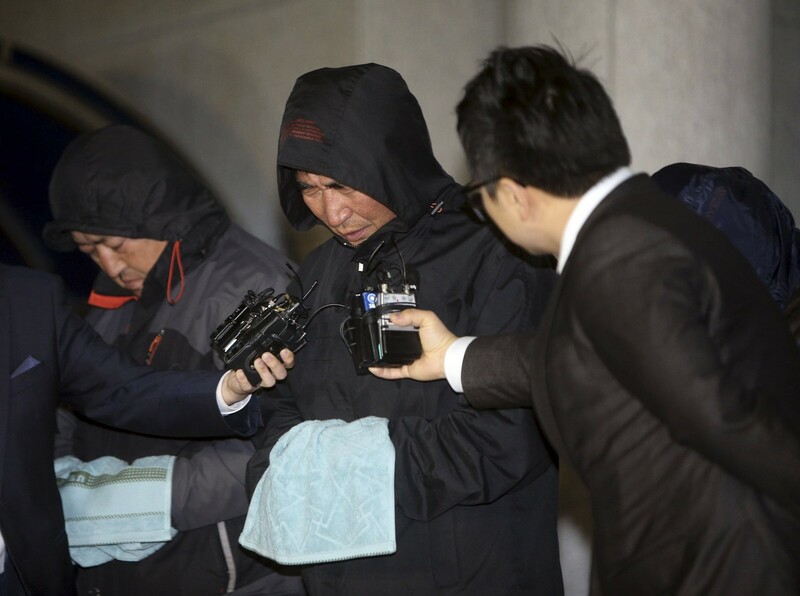 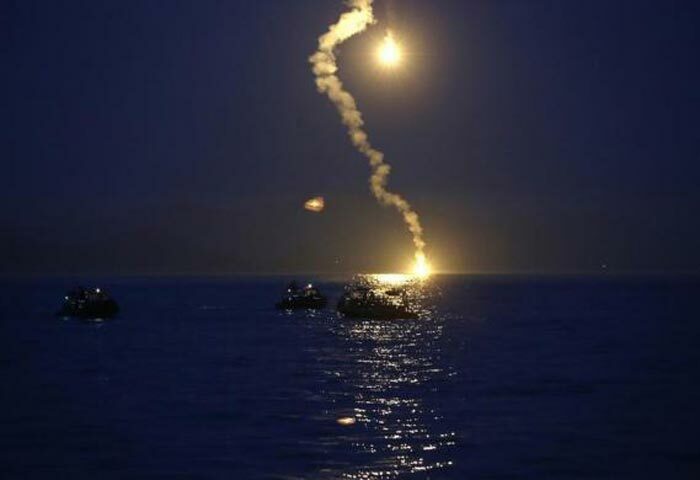 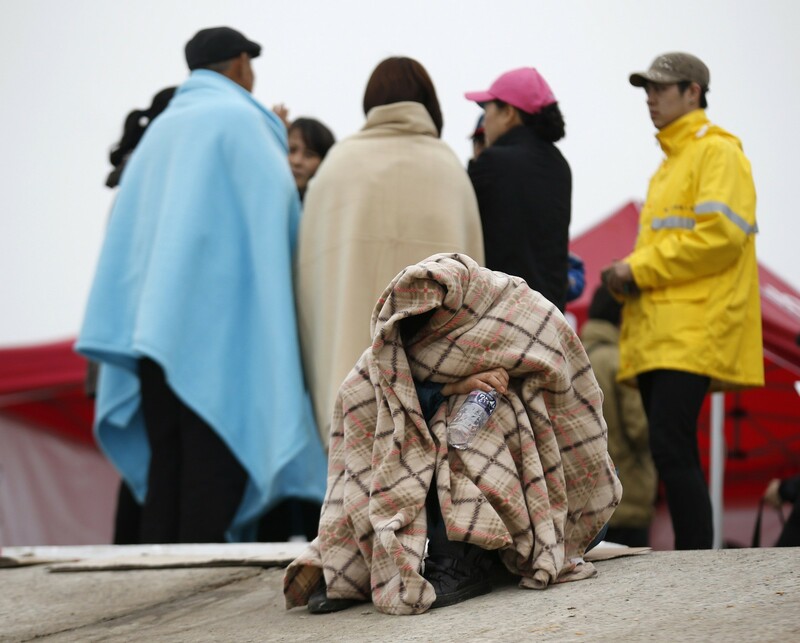 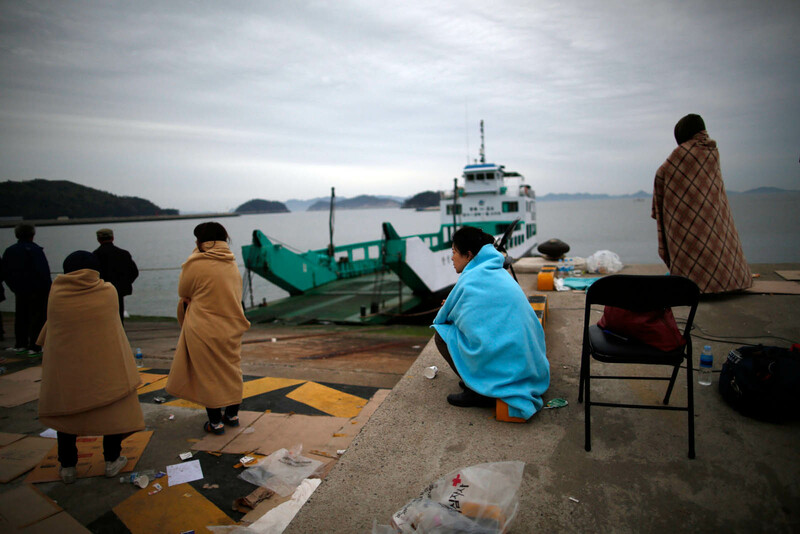 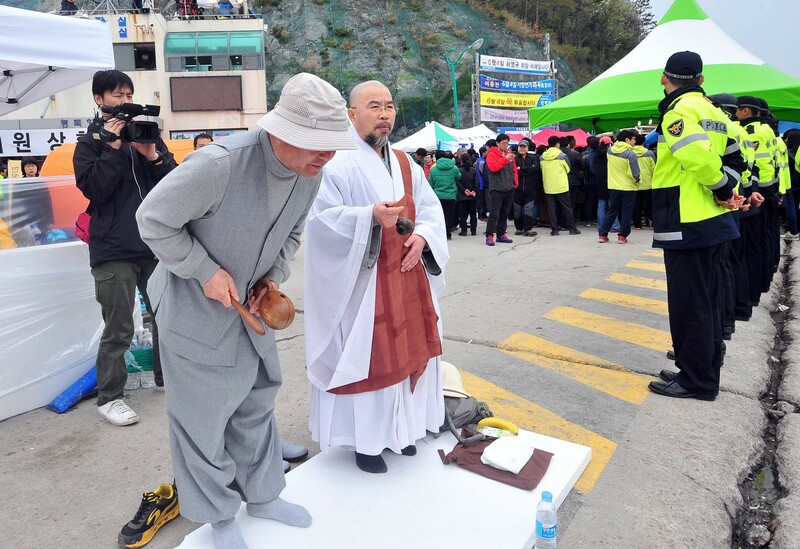 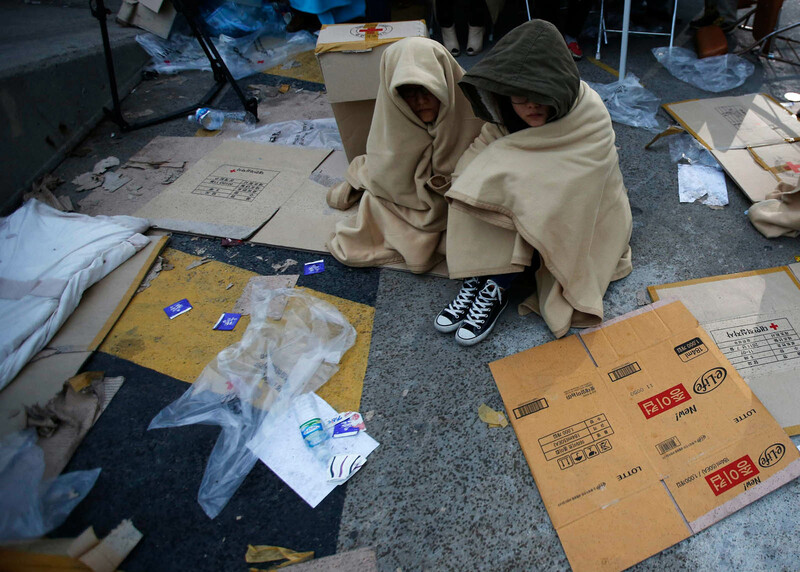 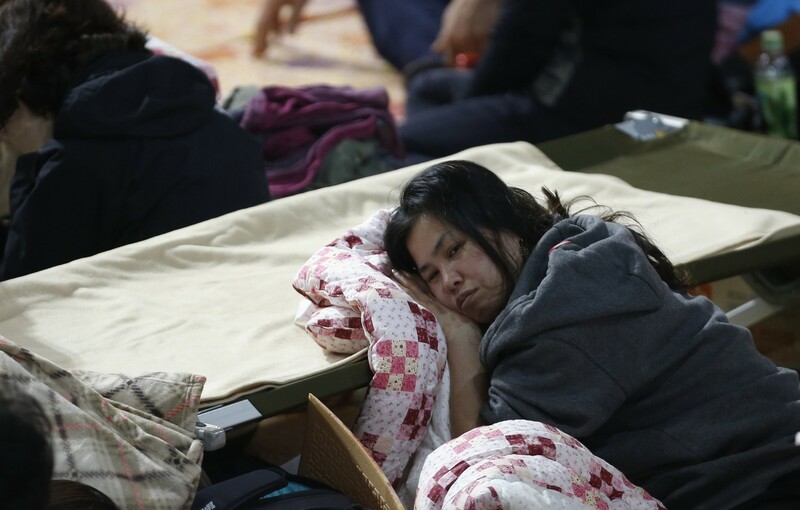 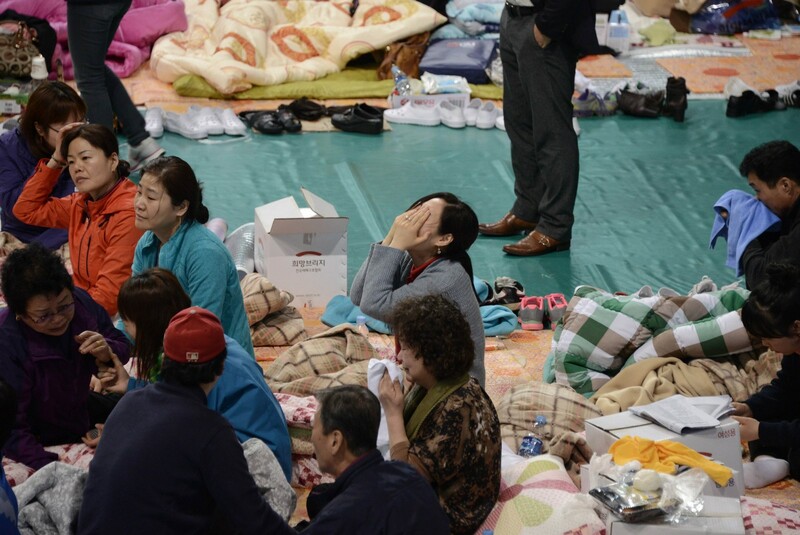 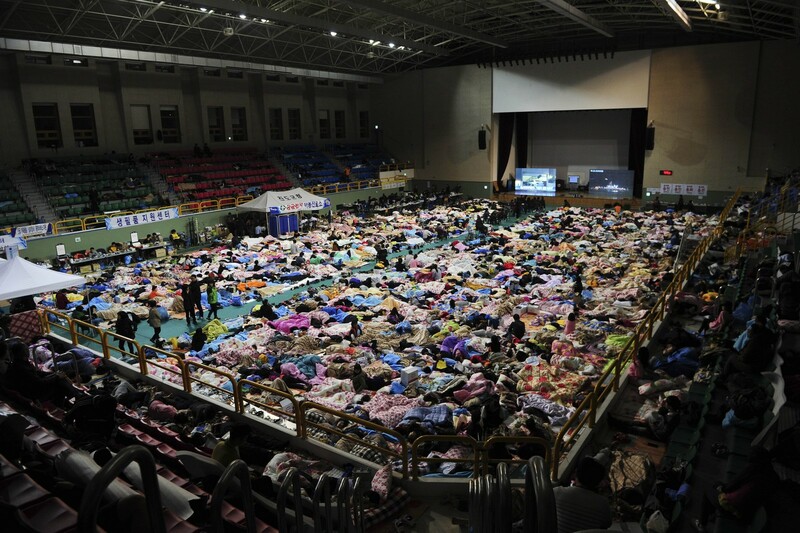 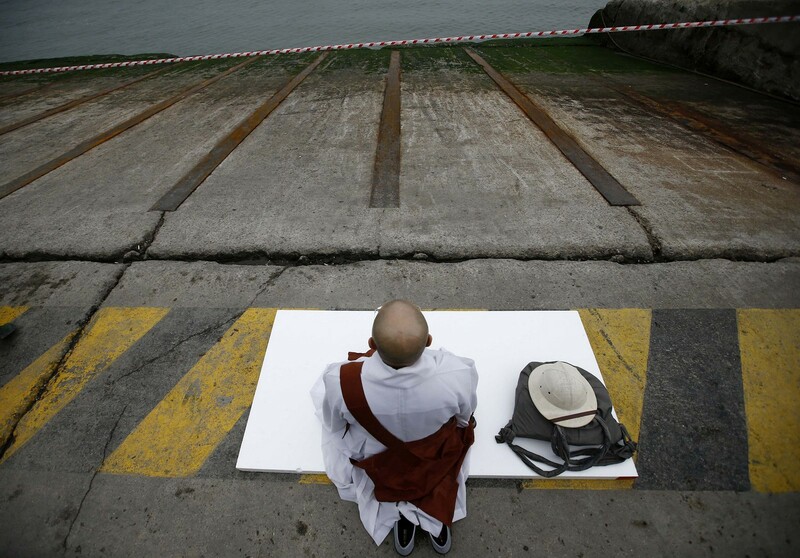 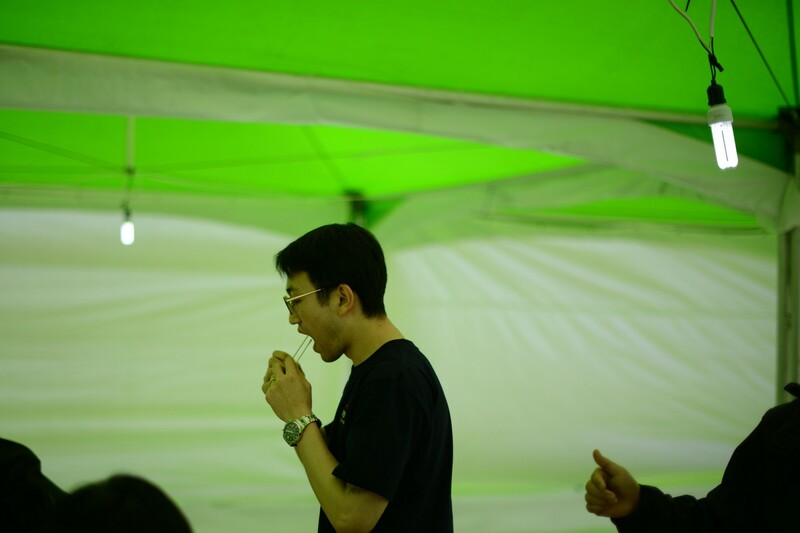 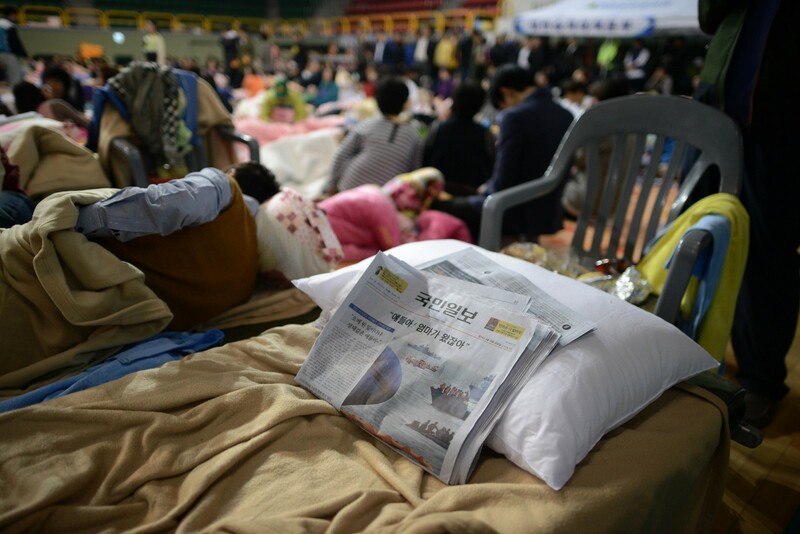 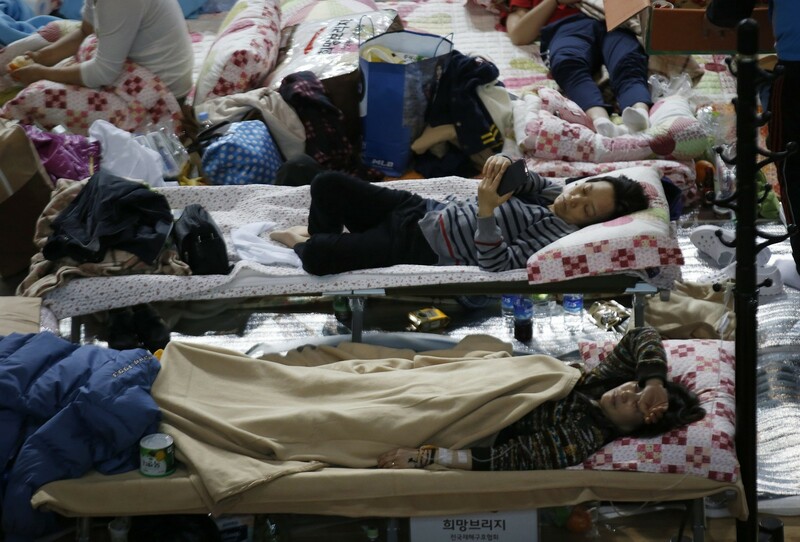 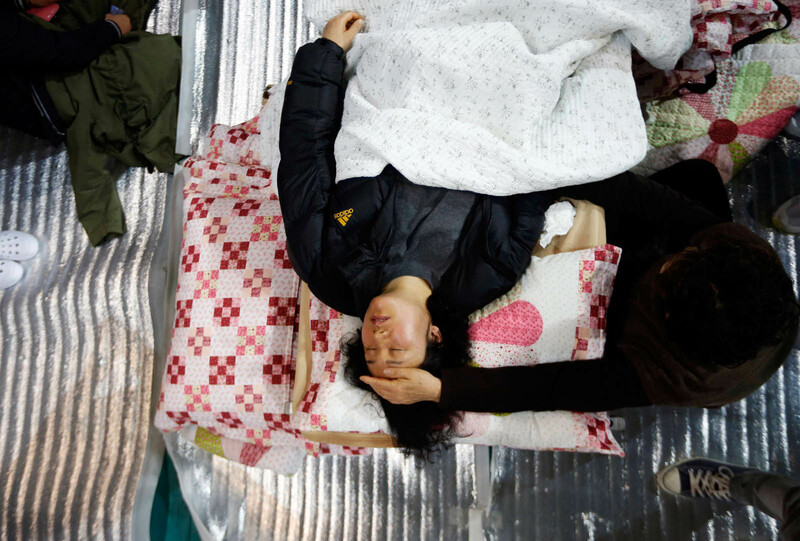 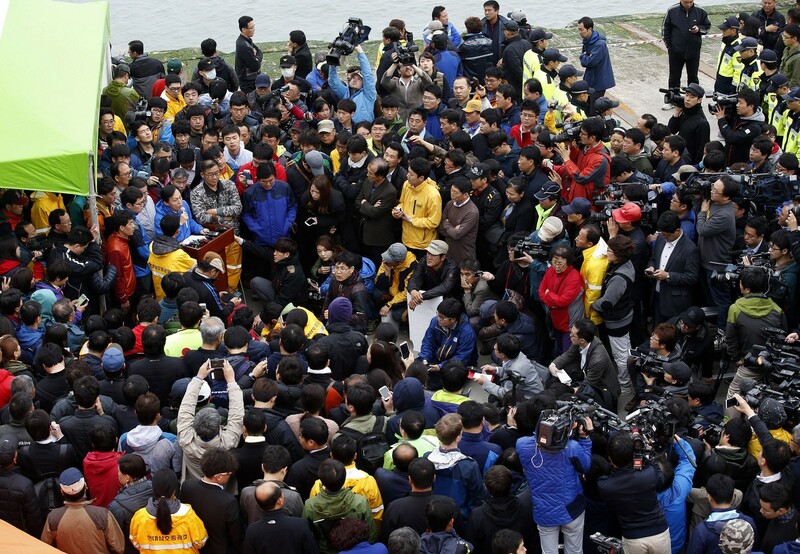 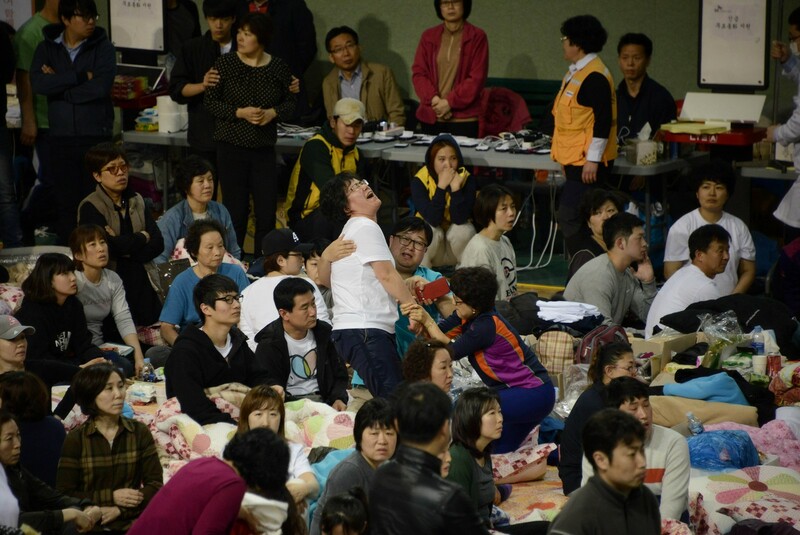 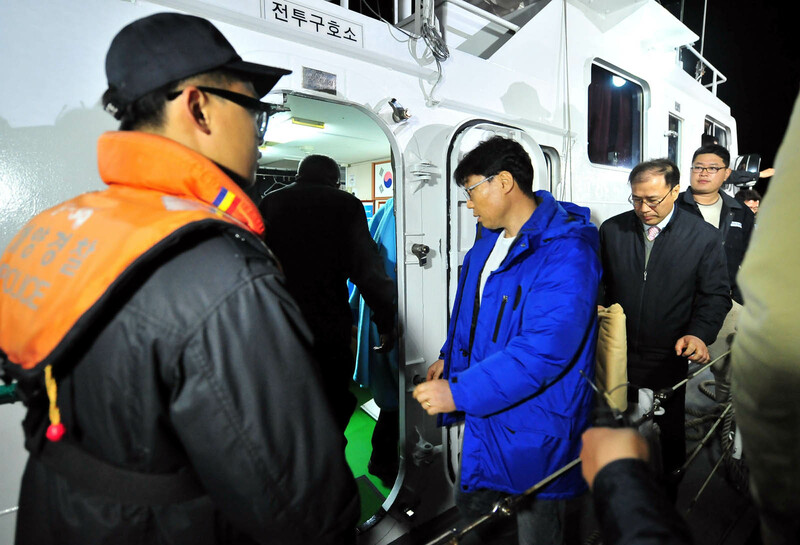 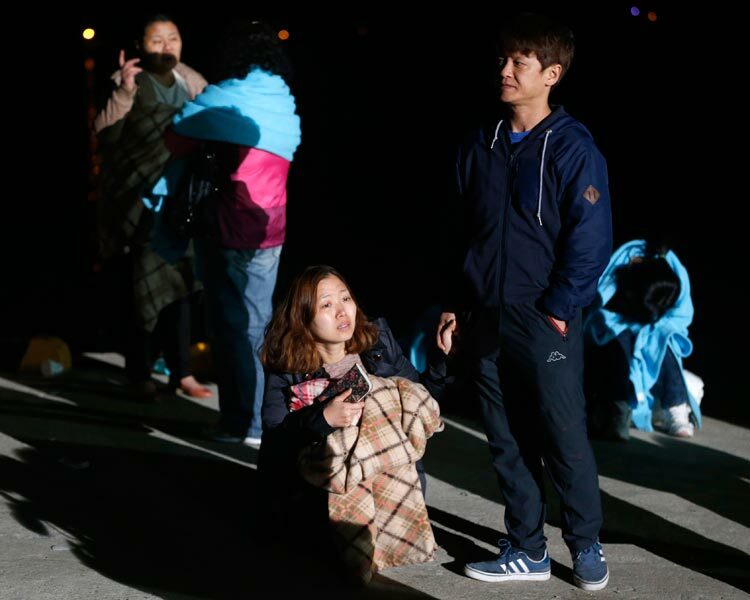 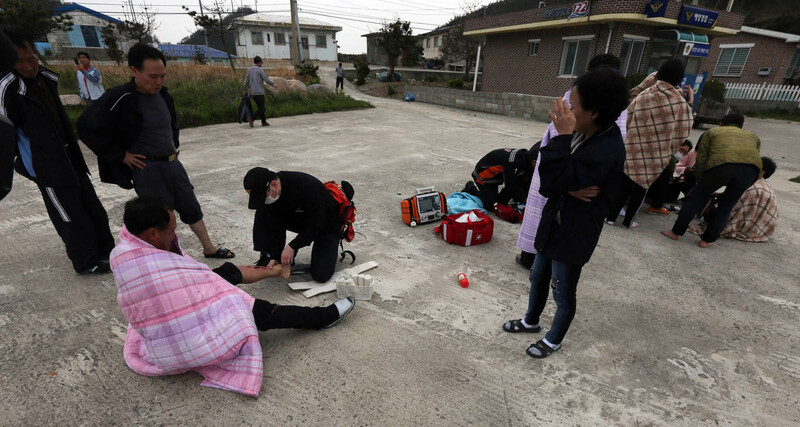 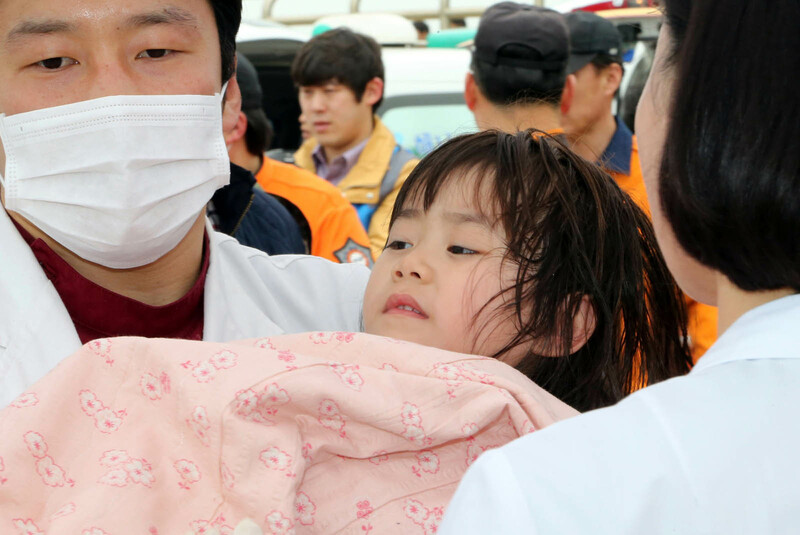 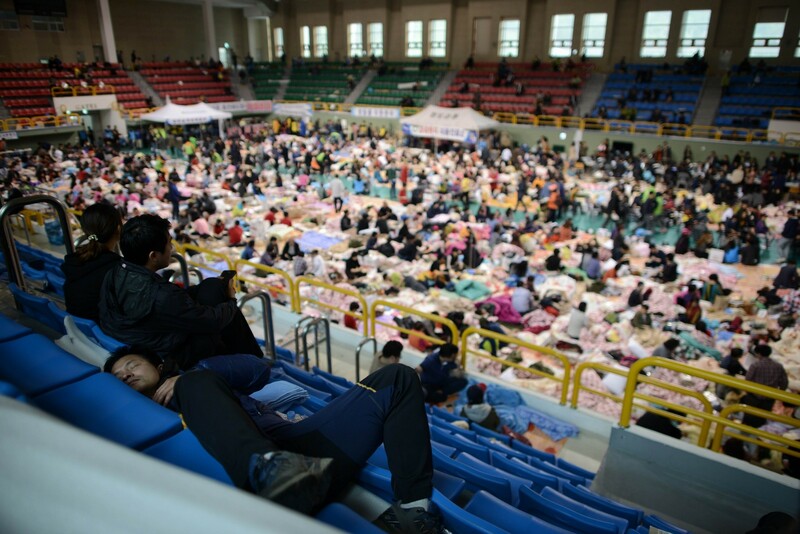 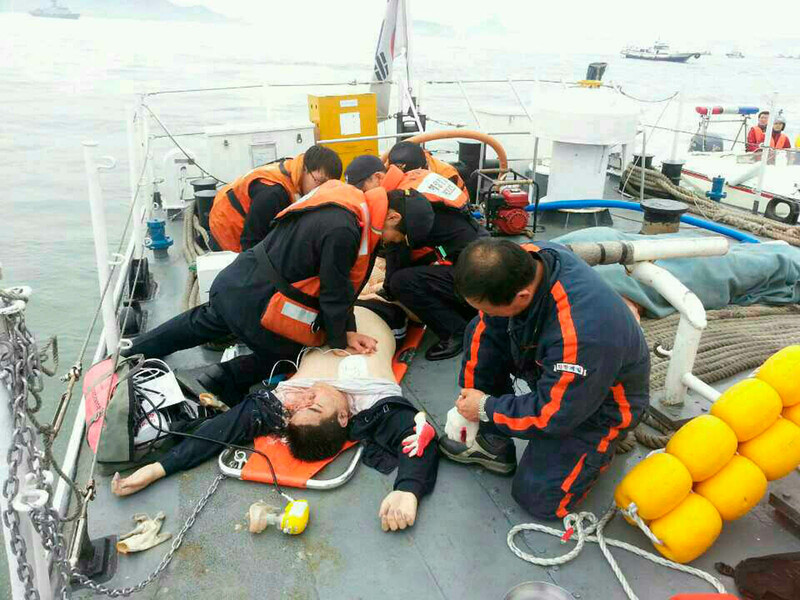 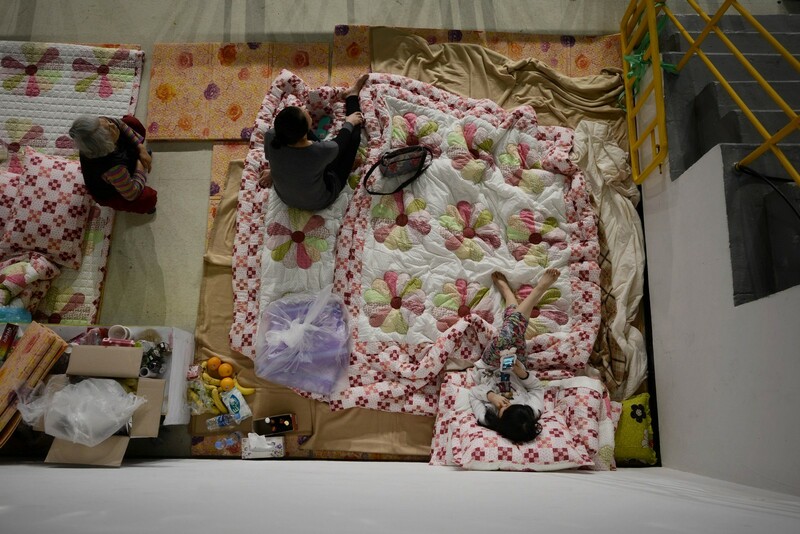 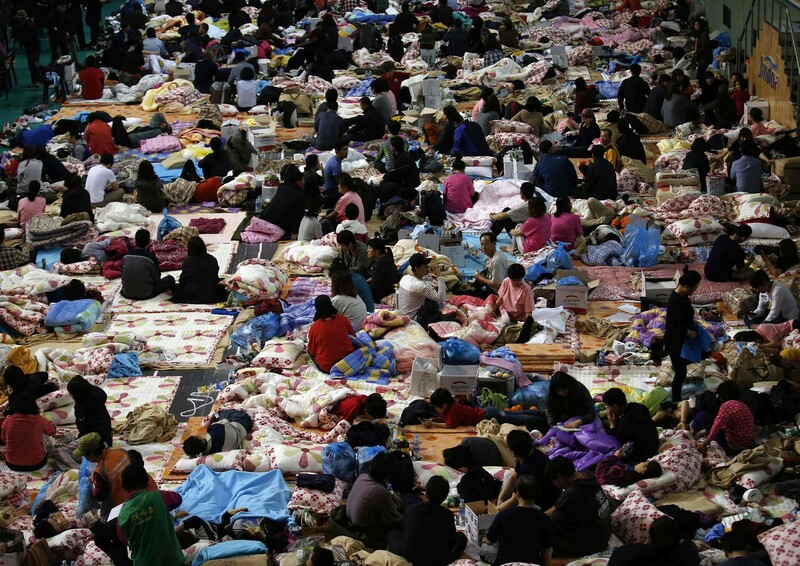 He was kept there most of the night, sitting on the ground, along with the coastguard chief and Marine Minister Lee Ju-Young, while the relatives accused them of lying about the recovery operation and demanded they bring in more resources. 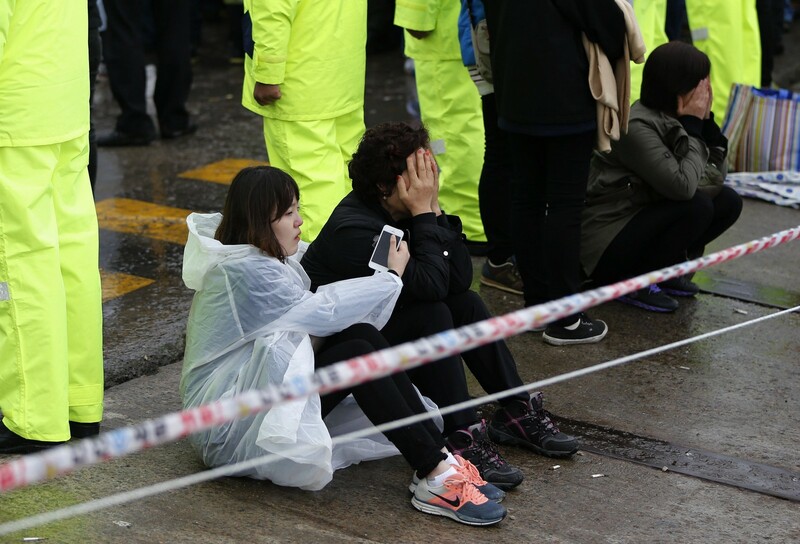 The bereaved families have said they want all the remaining bodies removed from the ferry before the weekend - a demand that Kim's comments made clear could not be met, especially with a bad weather front moving in. 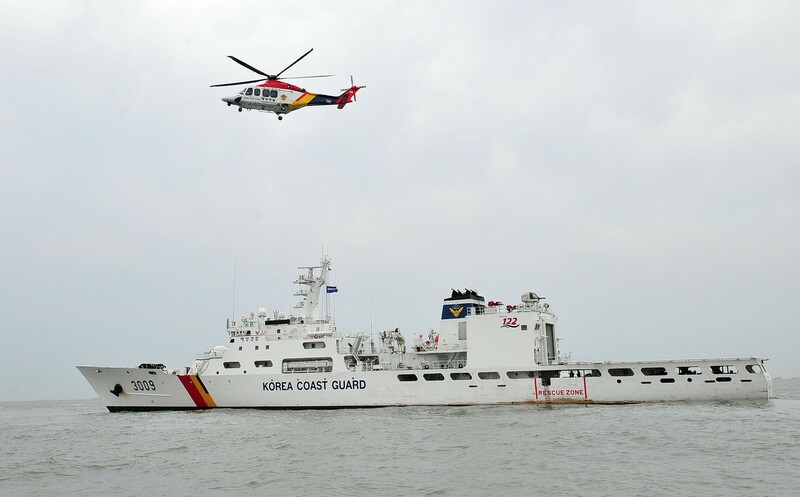 "We know that weather conditions will worsen considerably and currents will become stronger from Saturday," a coastguard spokesman said. 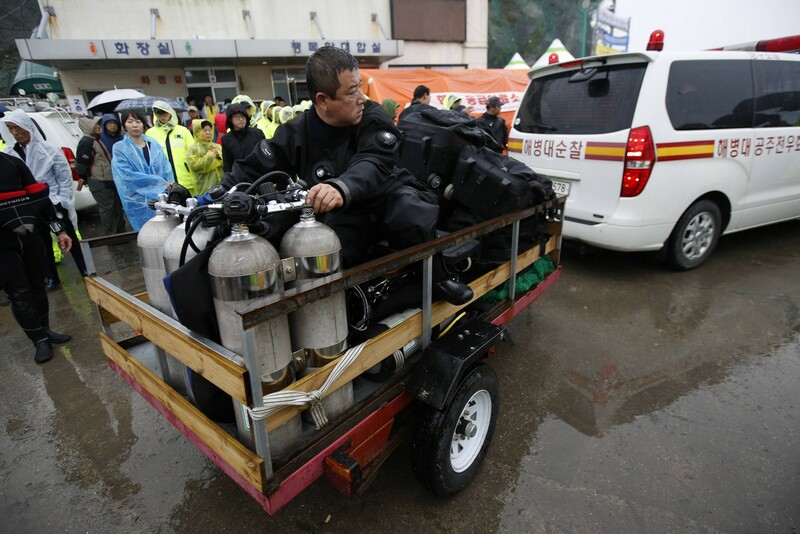 Storm warnings could be issued on Saturday or Sunday for the area around the rescue site. 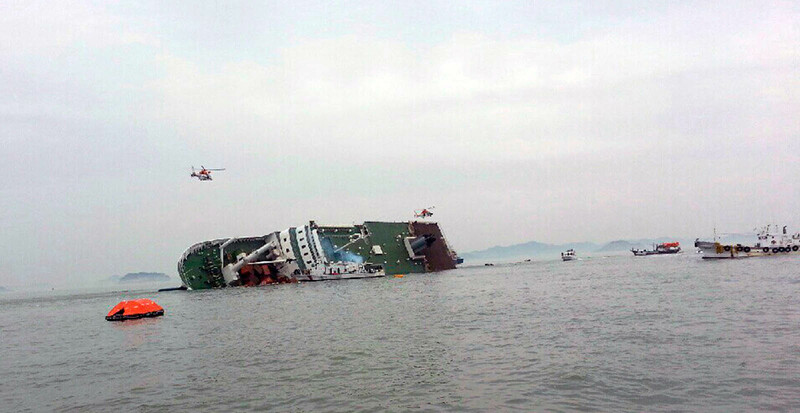 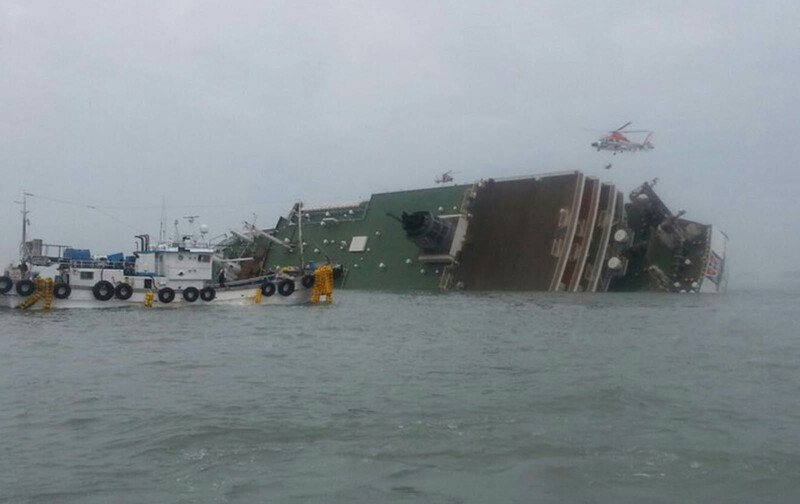 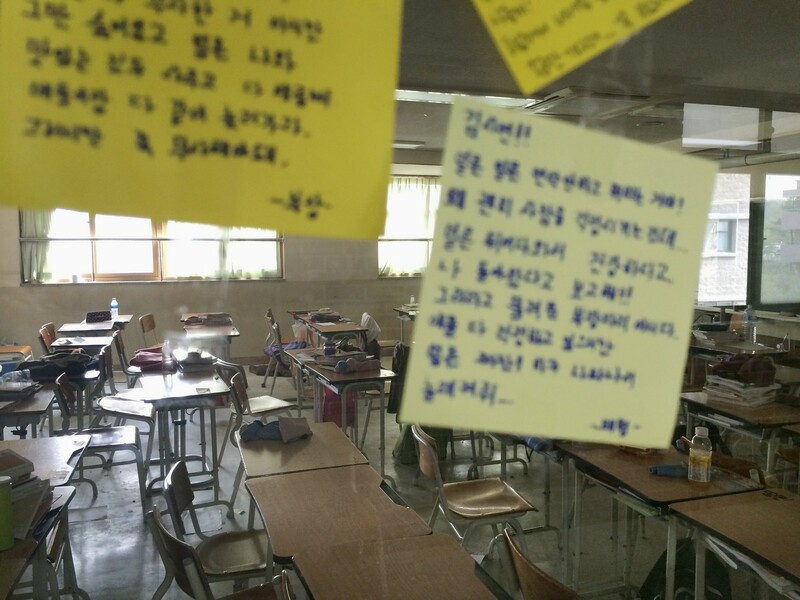 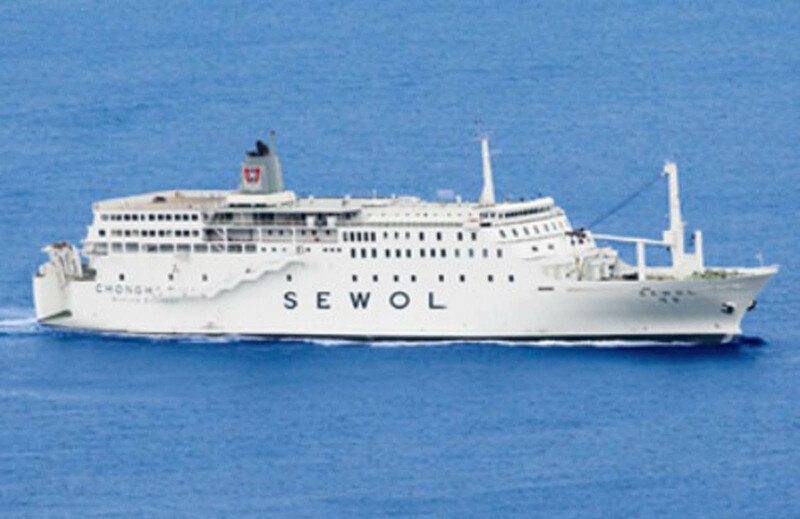 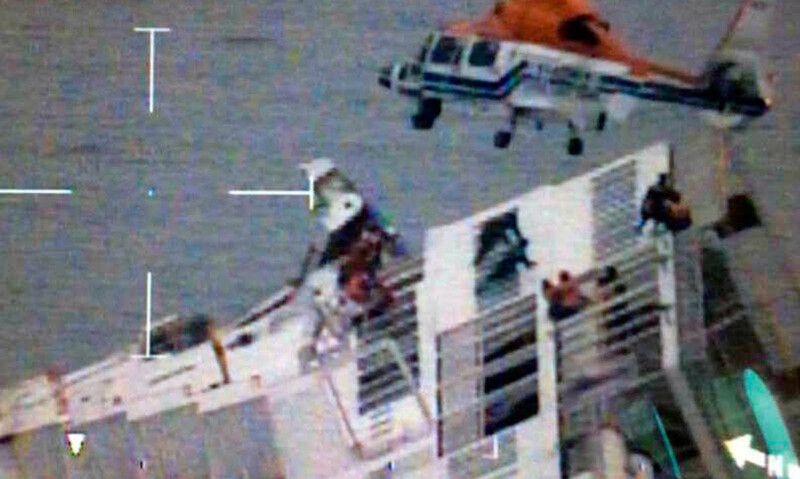 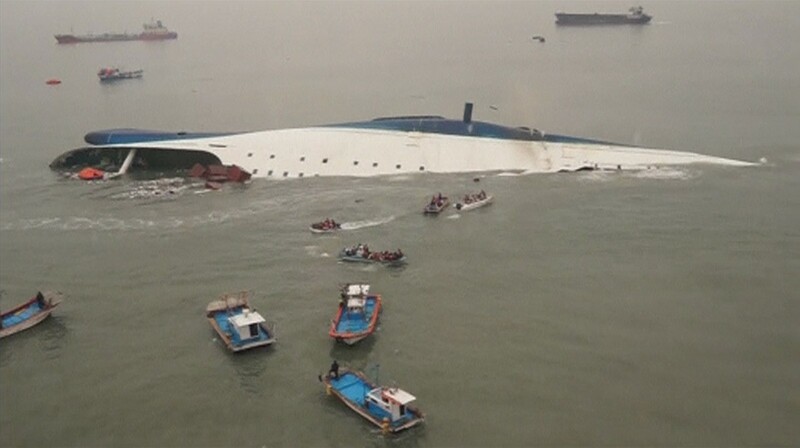 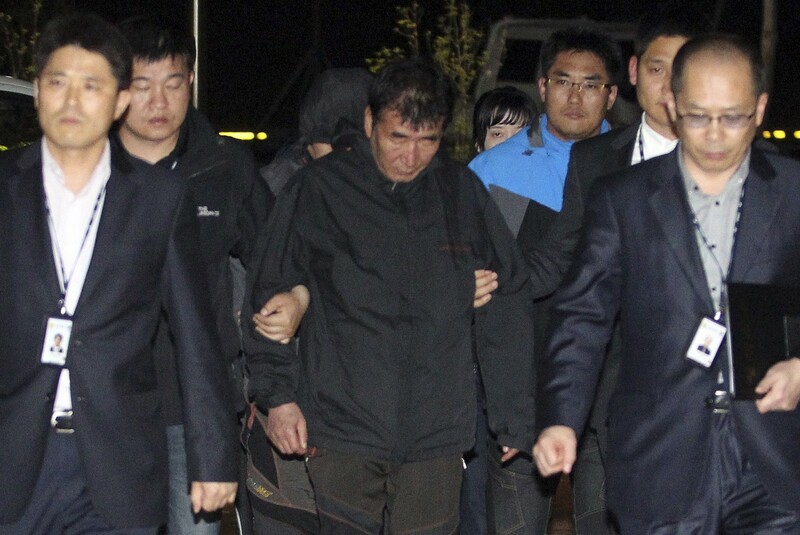 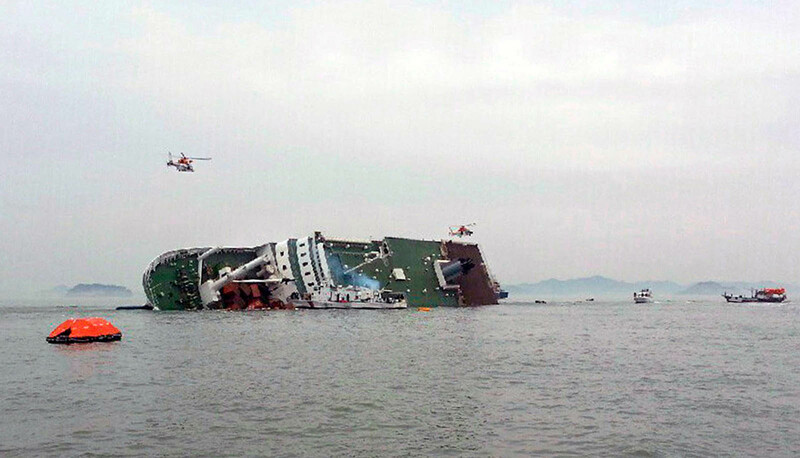 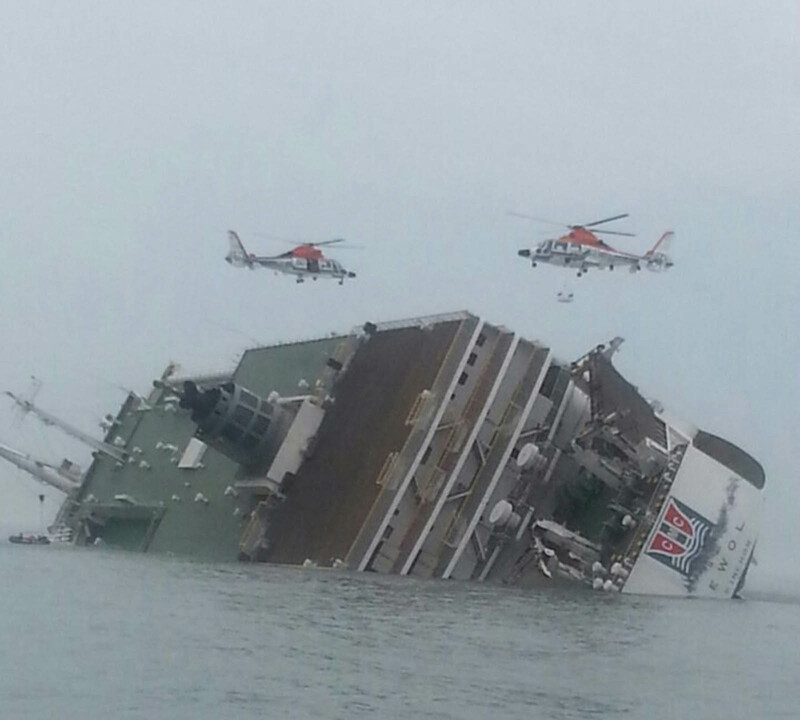 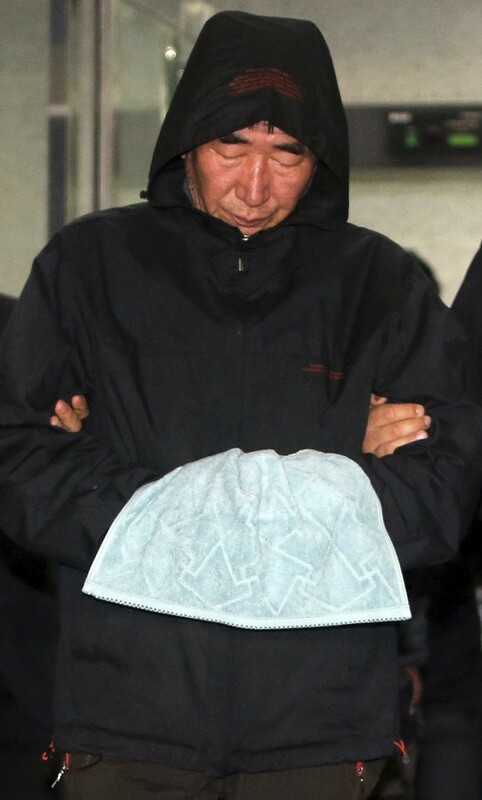 The Sewol's captain, Lee Joon-Seok, and 10 crew members have been arrested on charges ranging from criminal negligence to abandoning passengers. 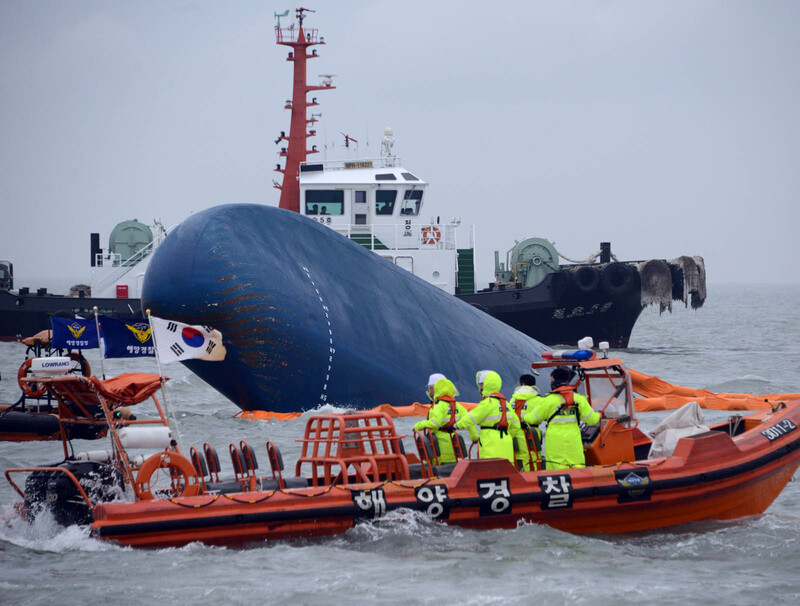 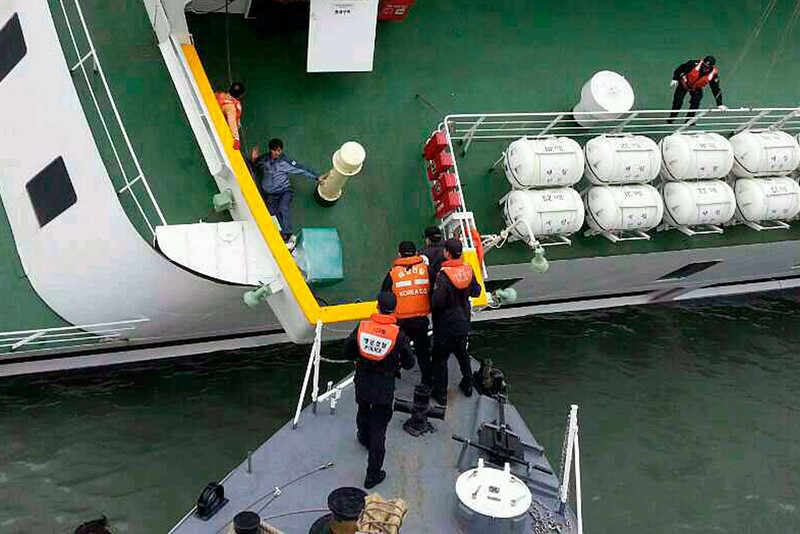 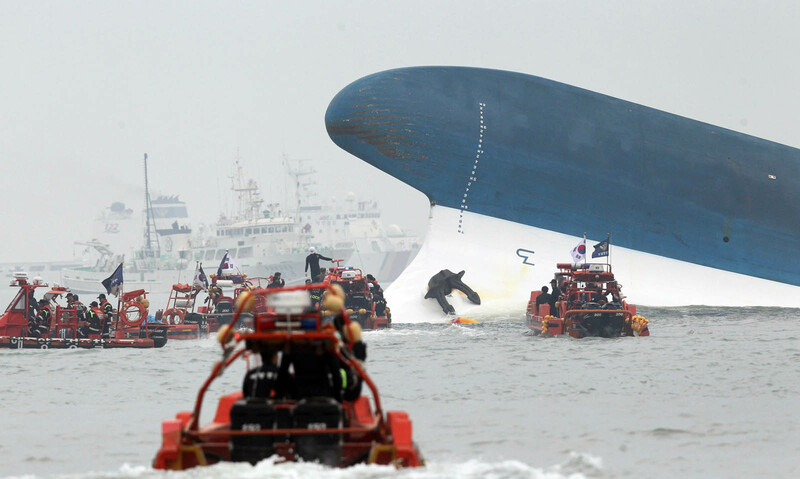 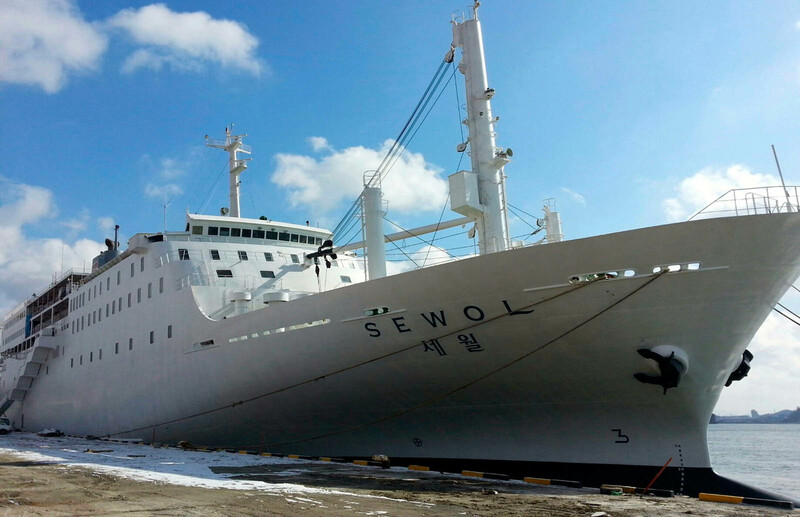 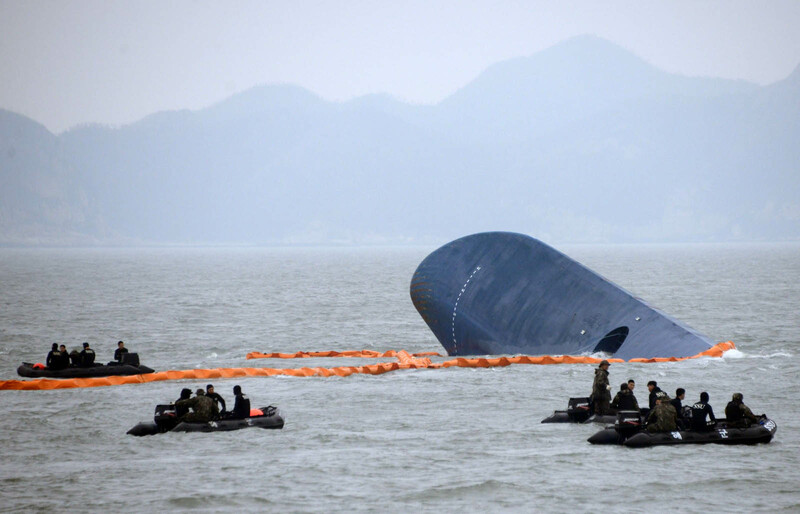 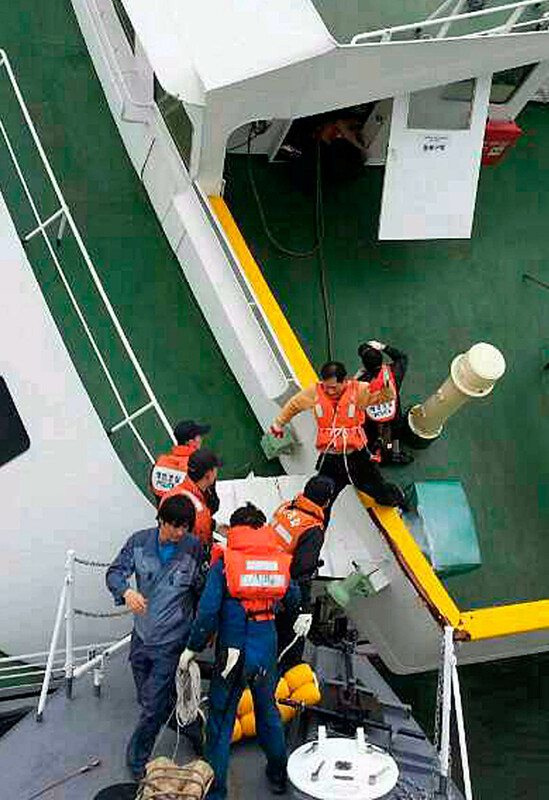 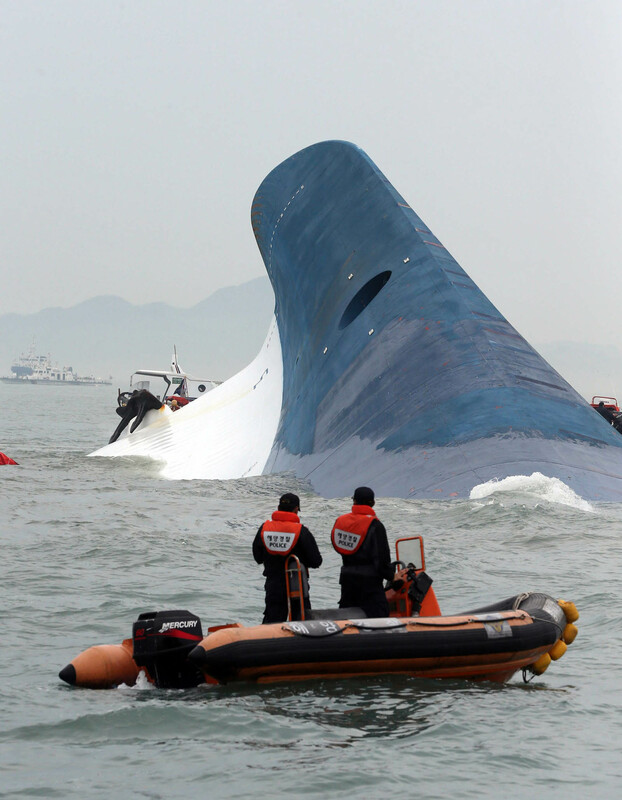 As part of their widening probe, prosecutors issued travel bans Friday on eight current and former executives of the Korea Register of Shipping - the body responsible for issuing marine safety certificate.